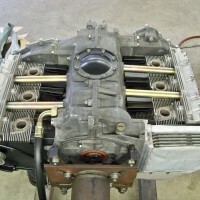 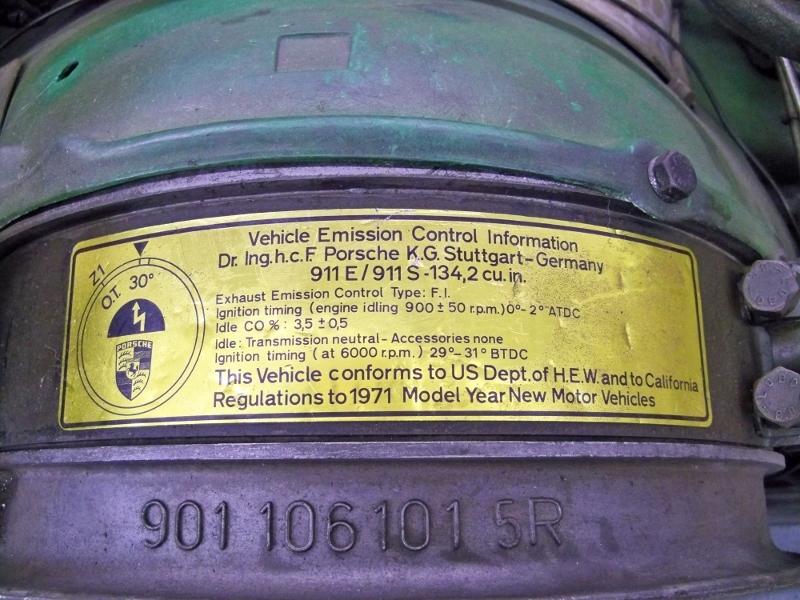 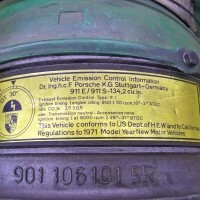 1971 911E 2.2L Engine – 192hp @ 6200rpm » Specialty Cars Service Center, Inc. 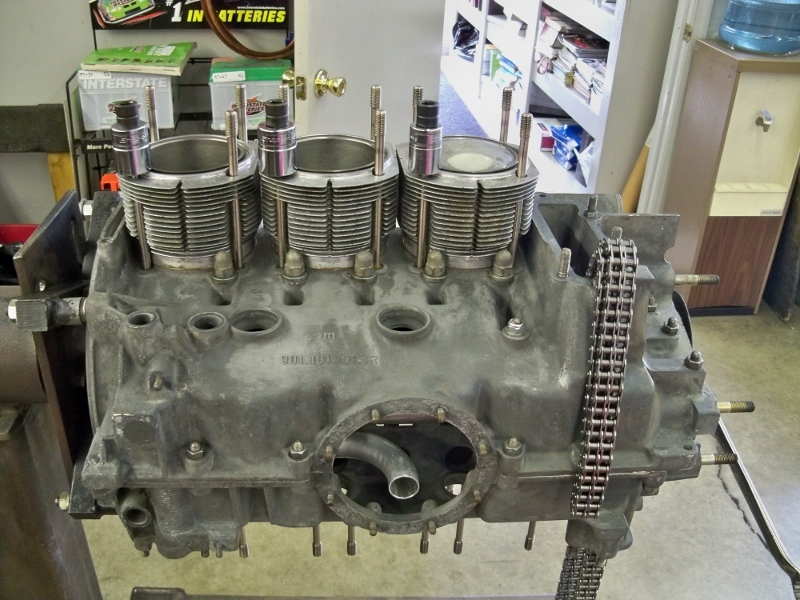 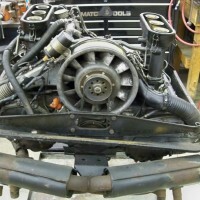 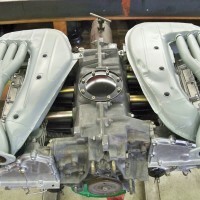 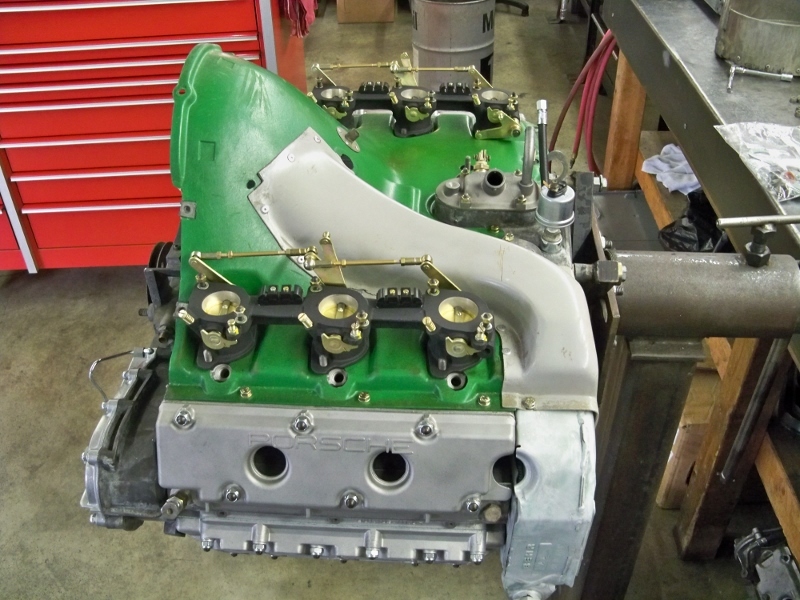 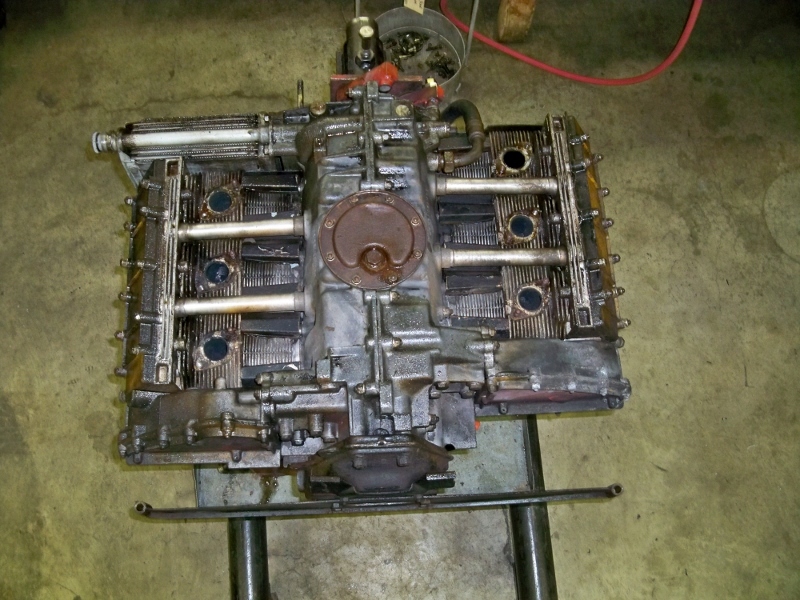 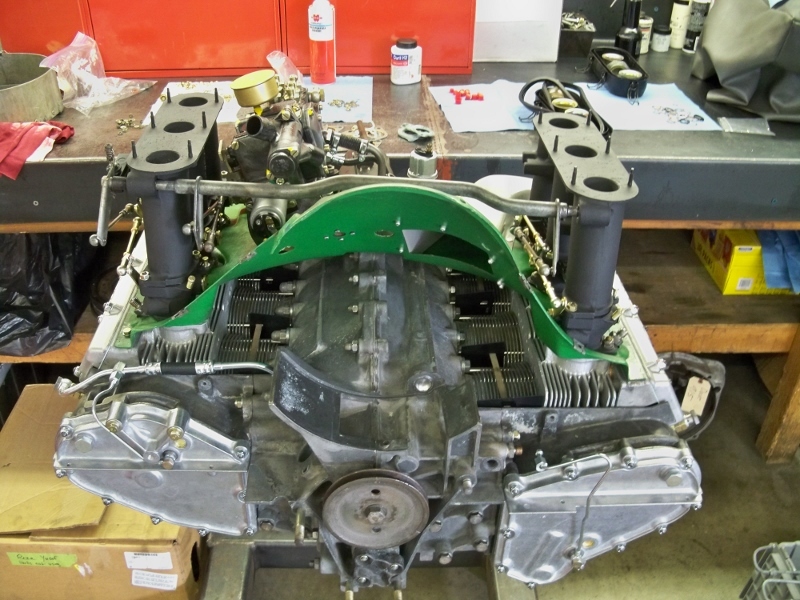 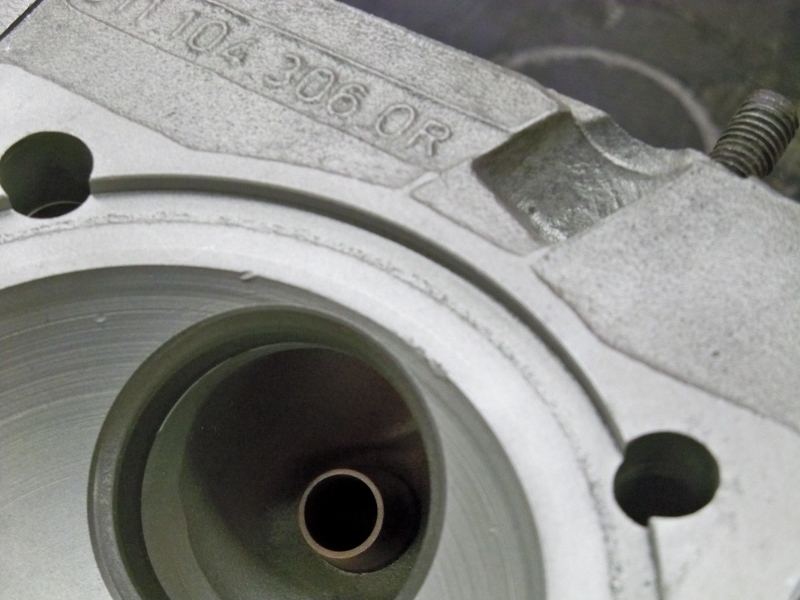 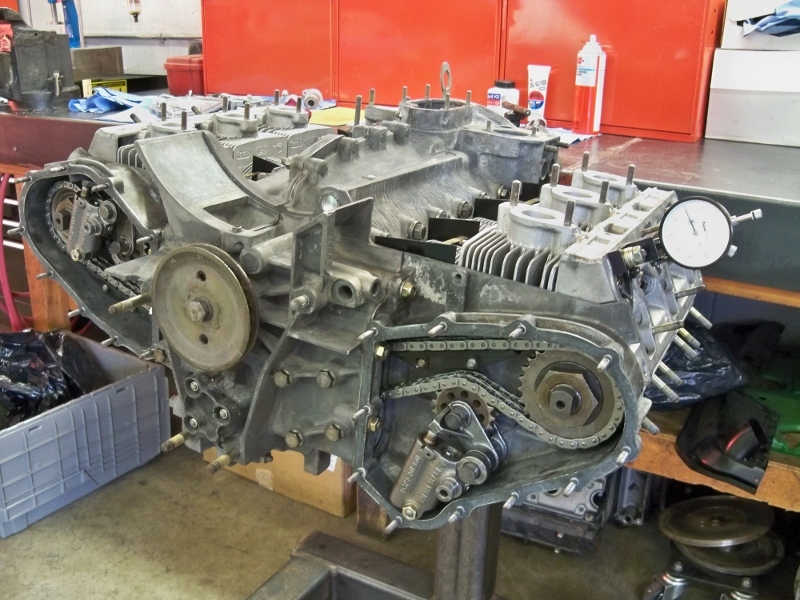 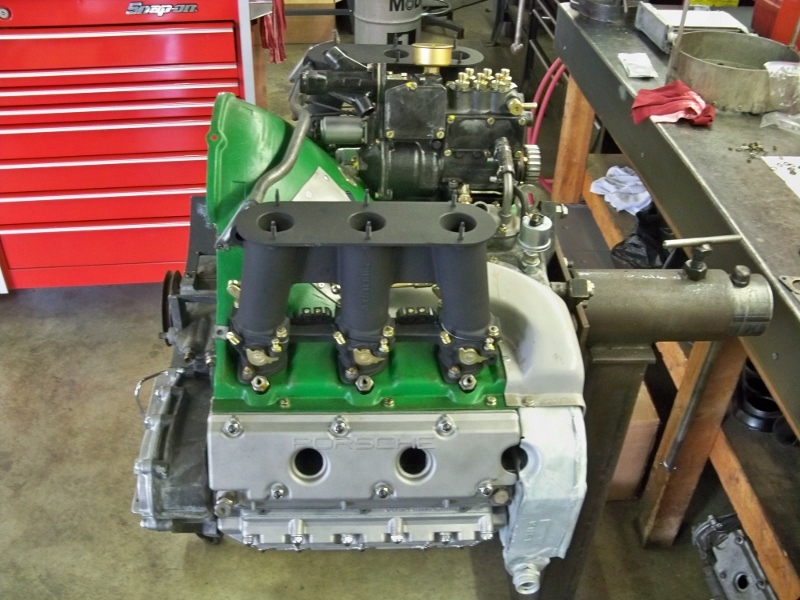 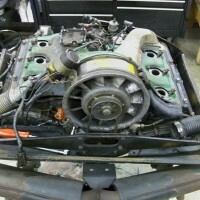 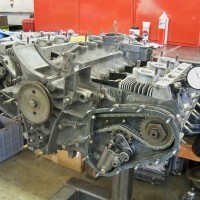 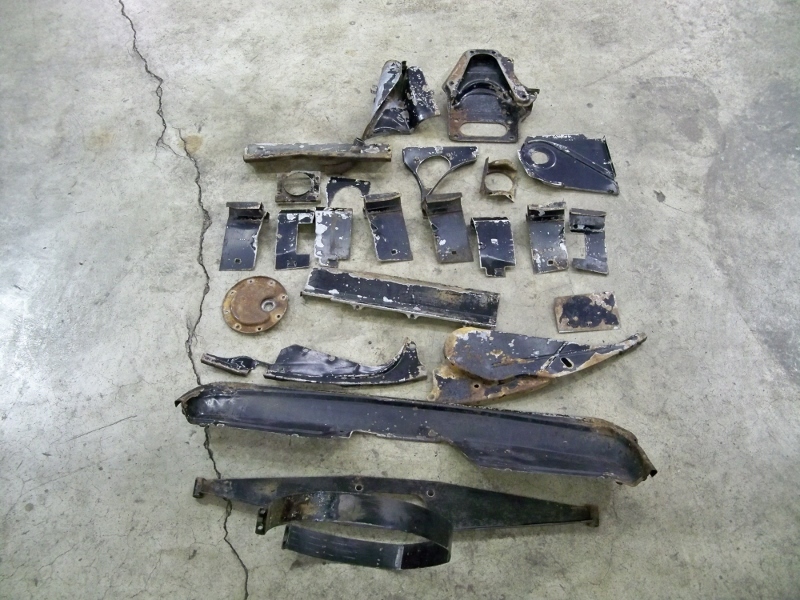 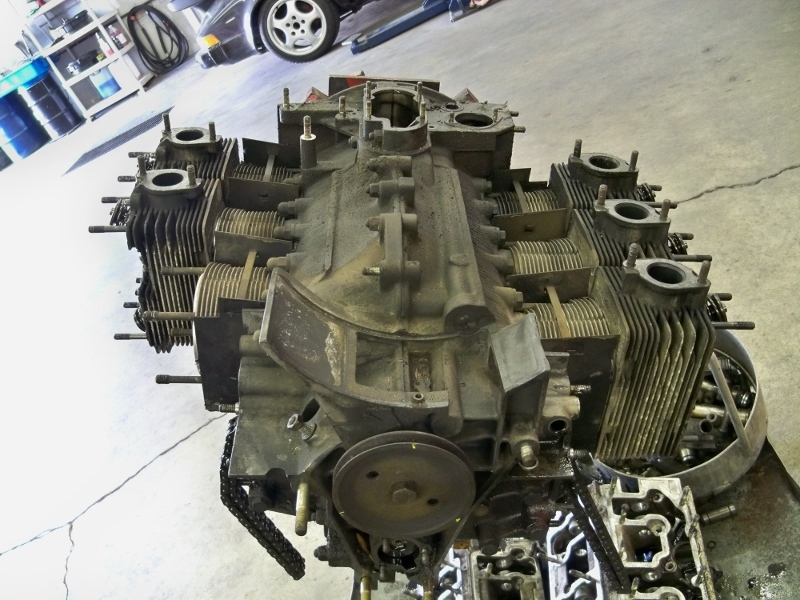 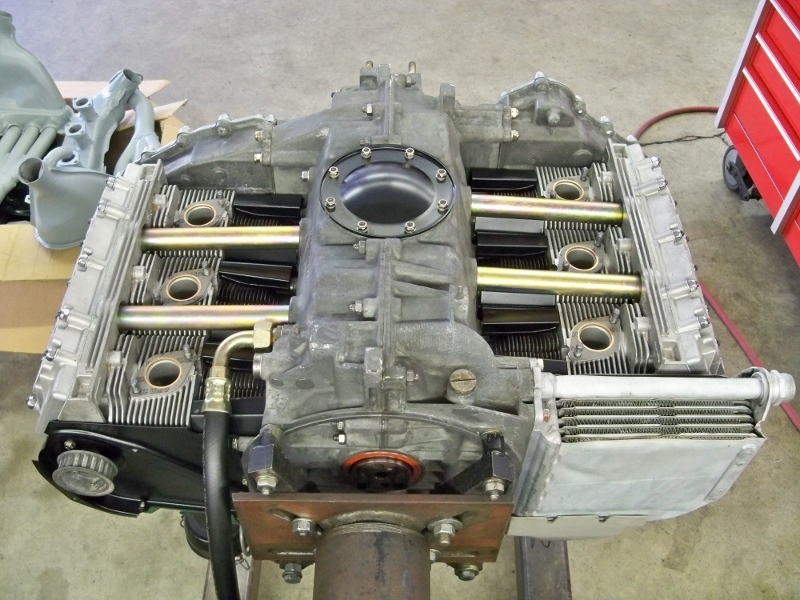 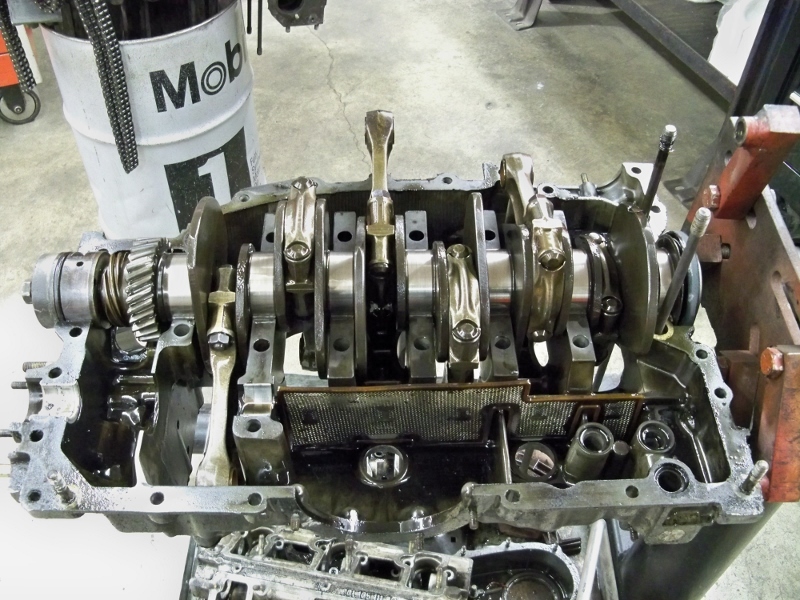 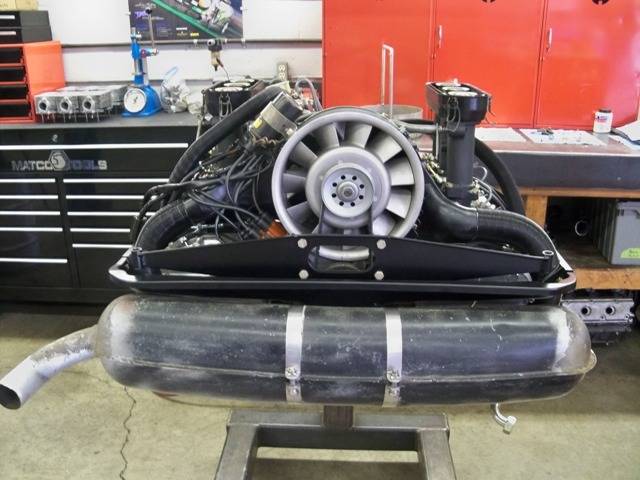 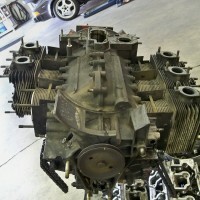 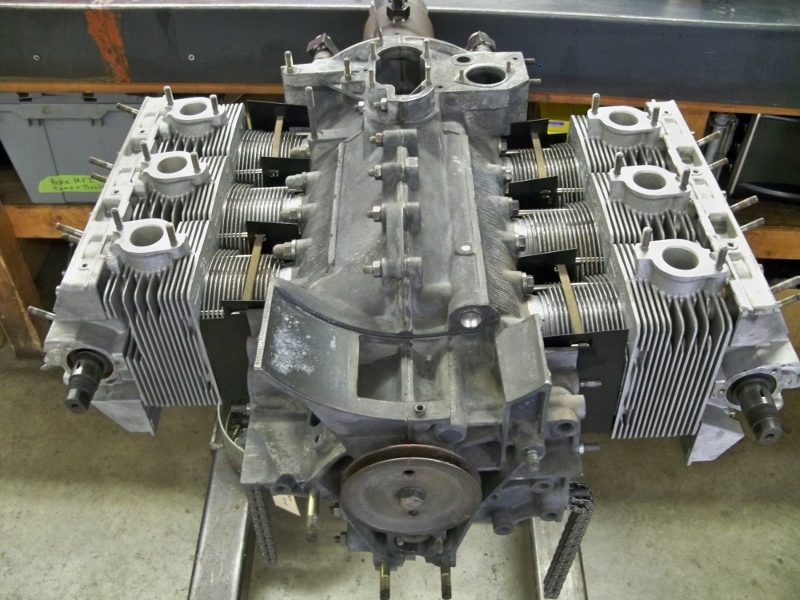 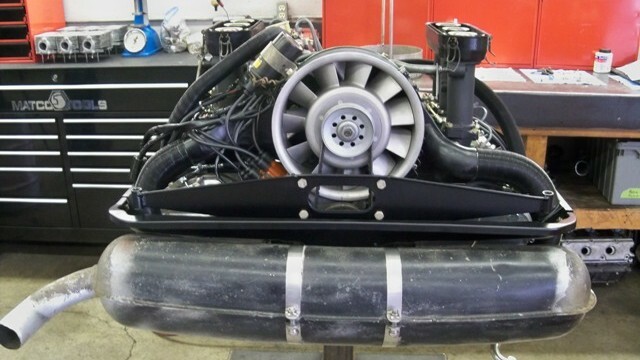 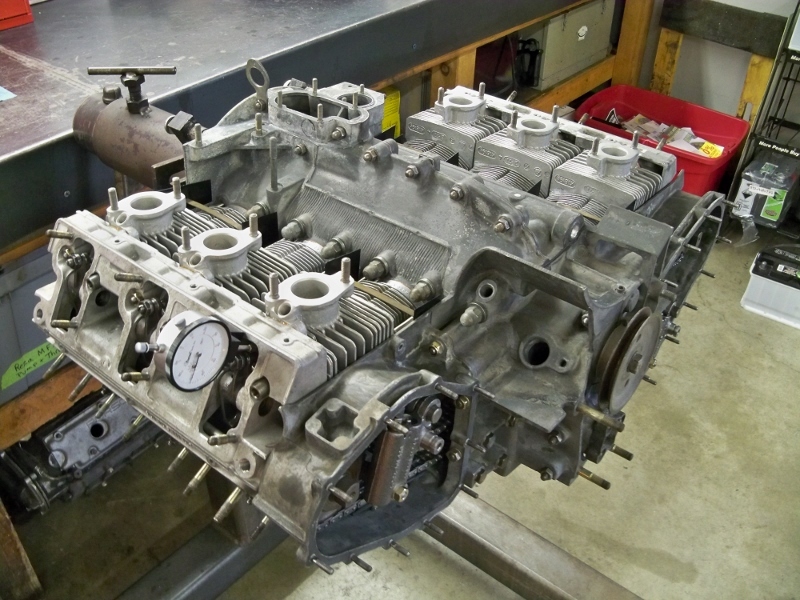 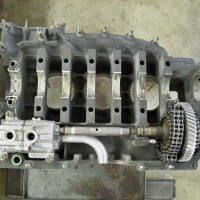 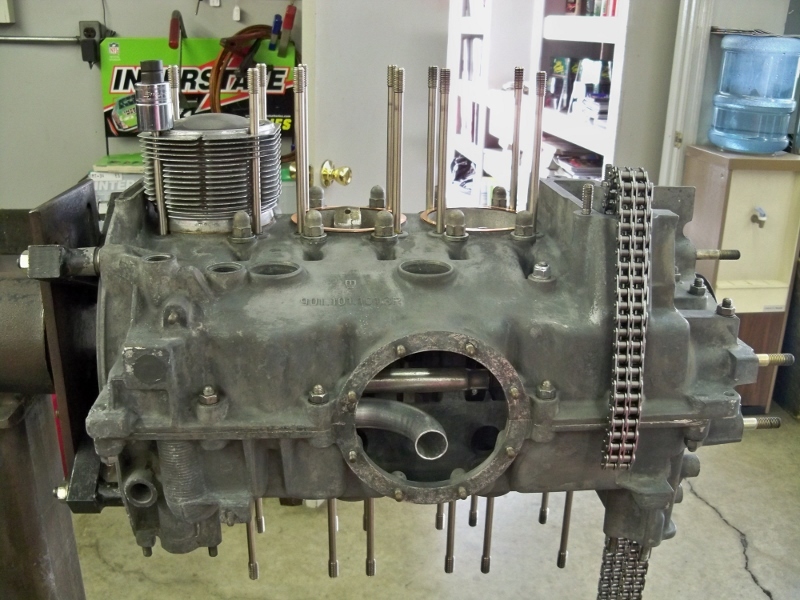 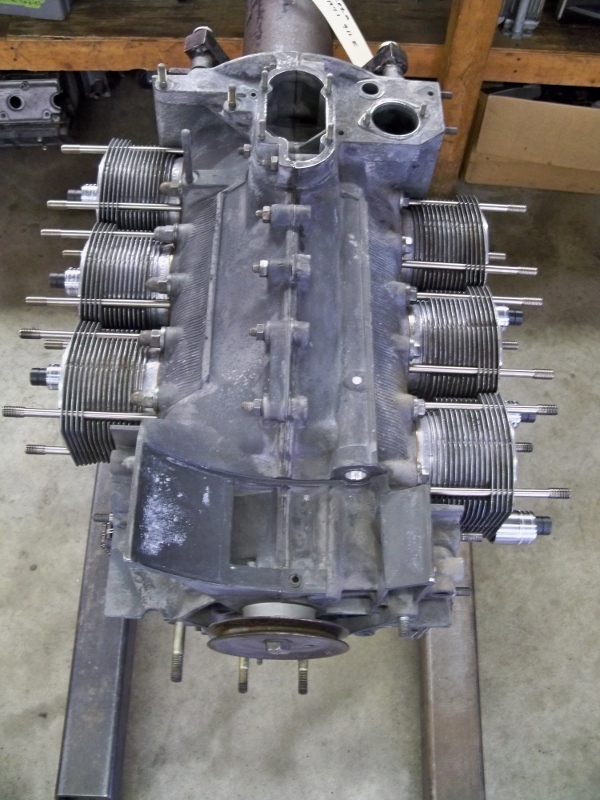 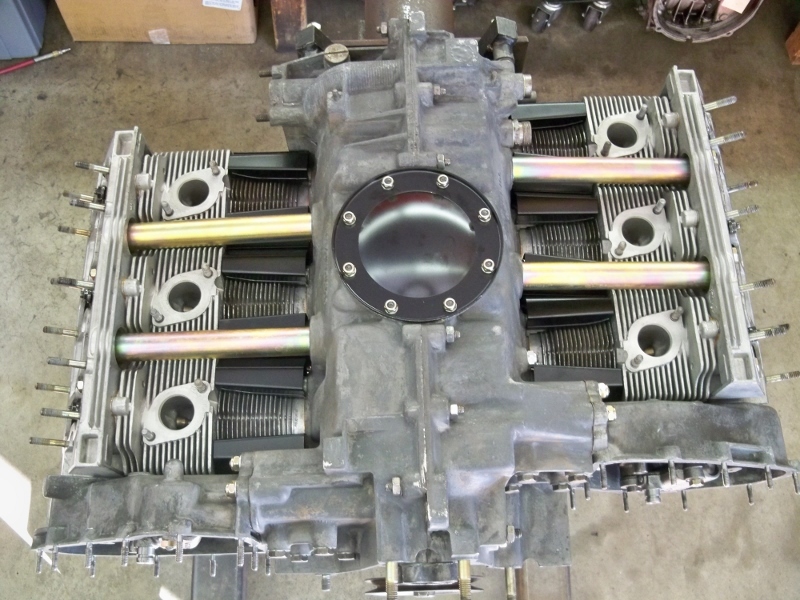 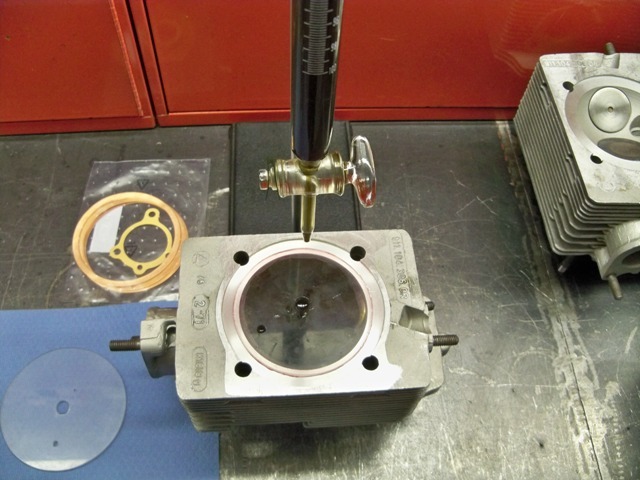 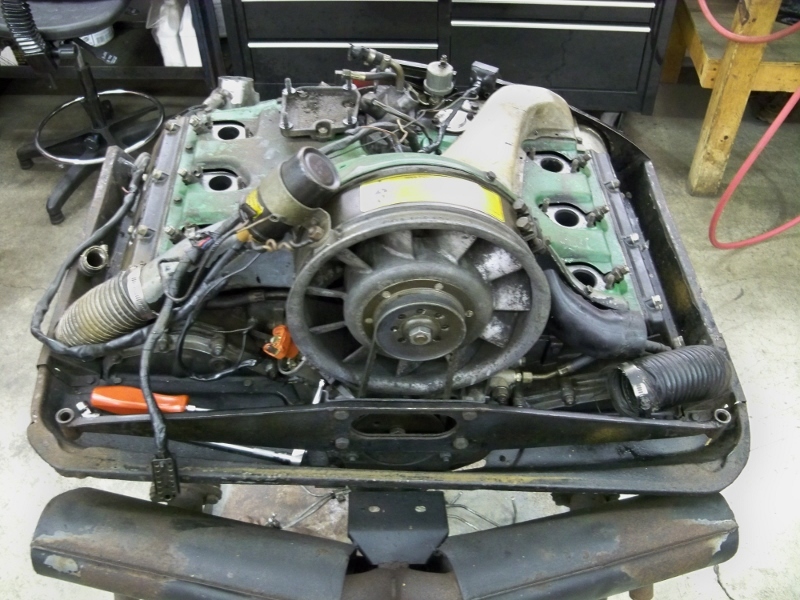 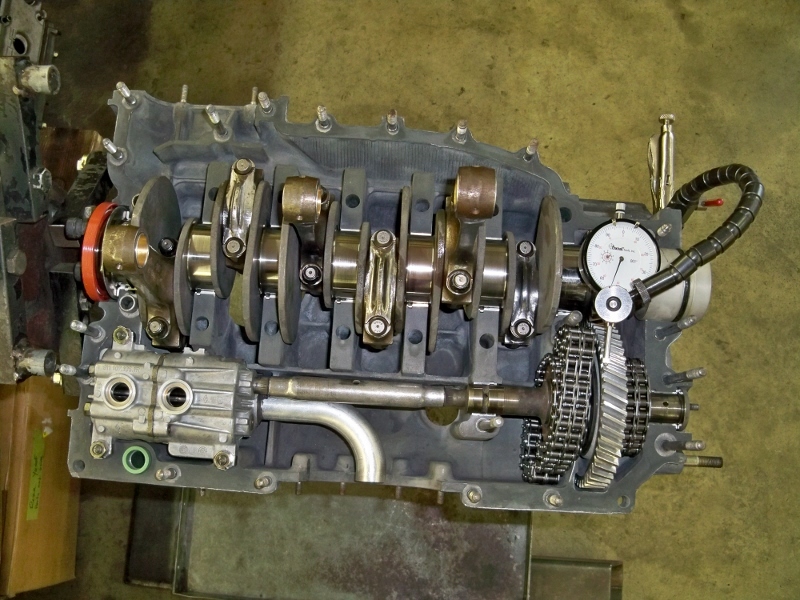 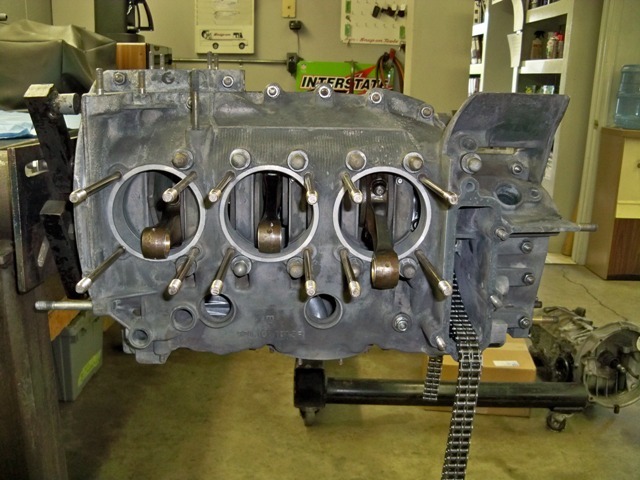 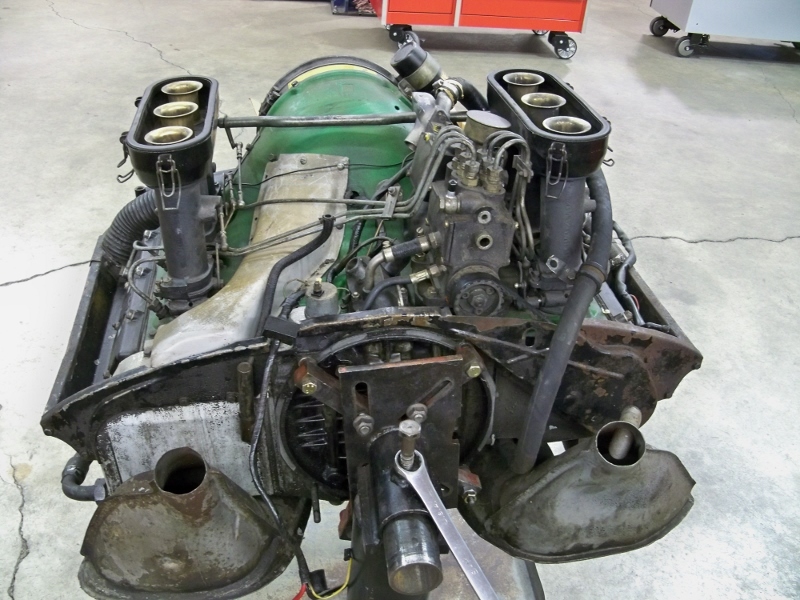 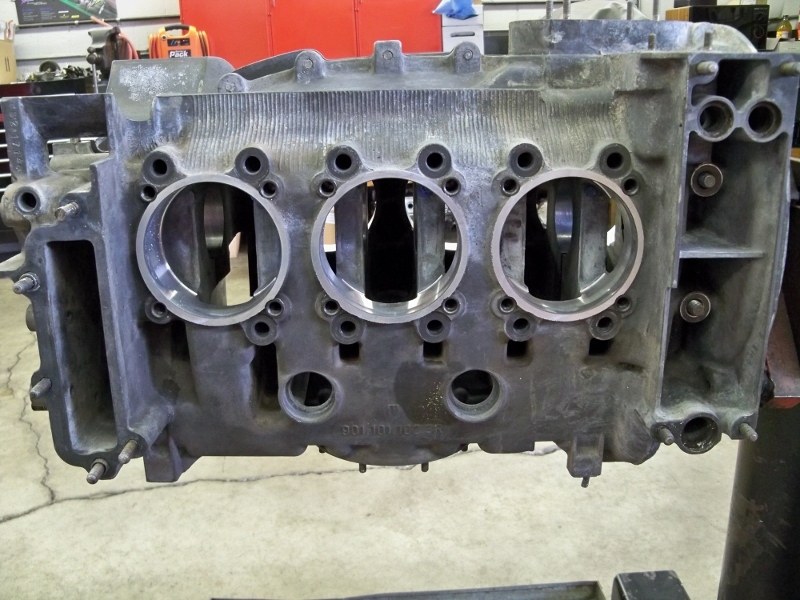 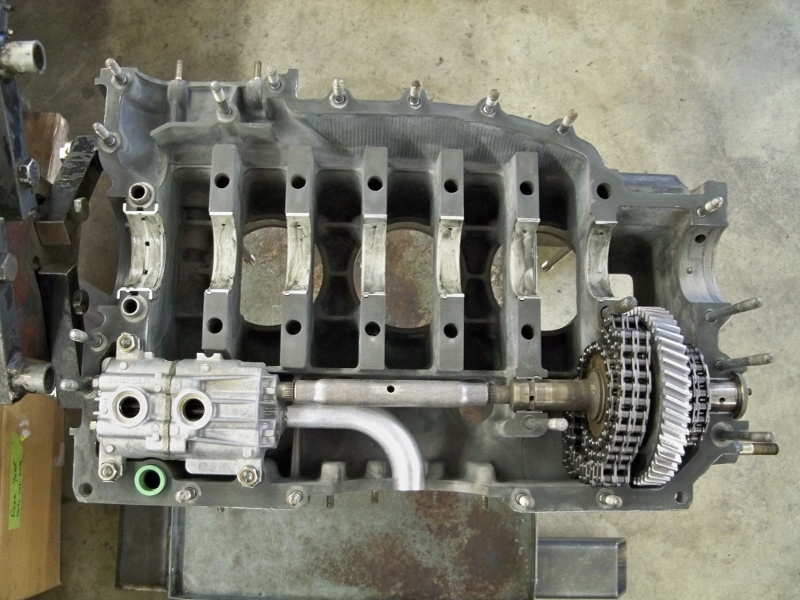 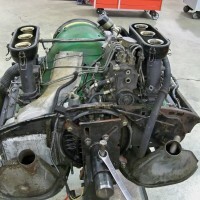 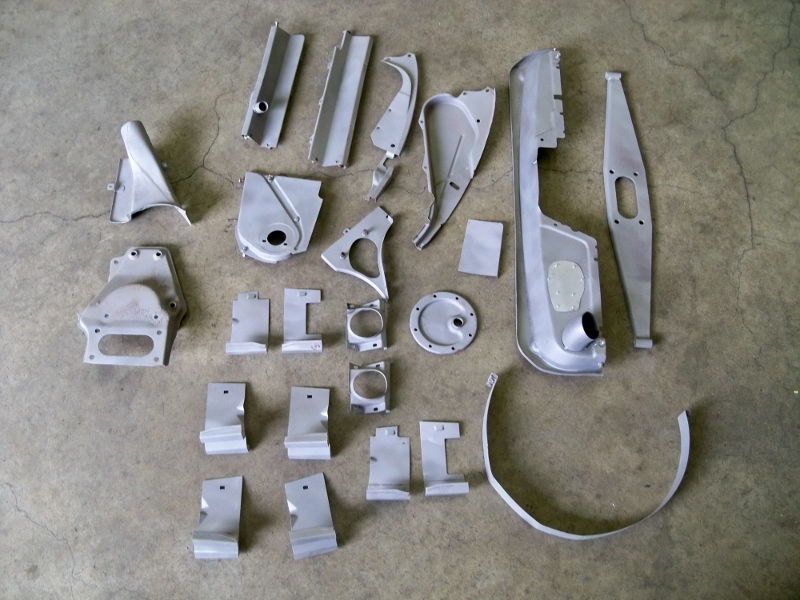 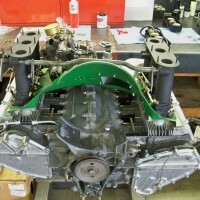 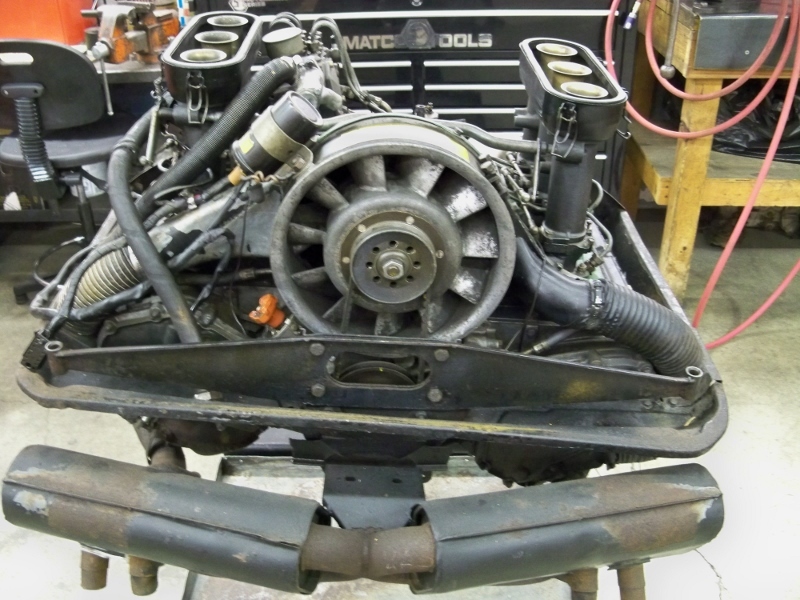 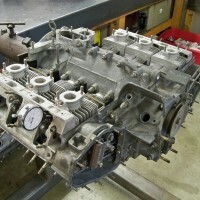 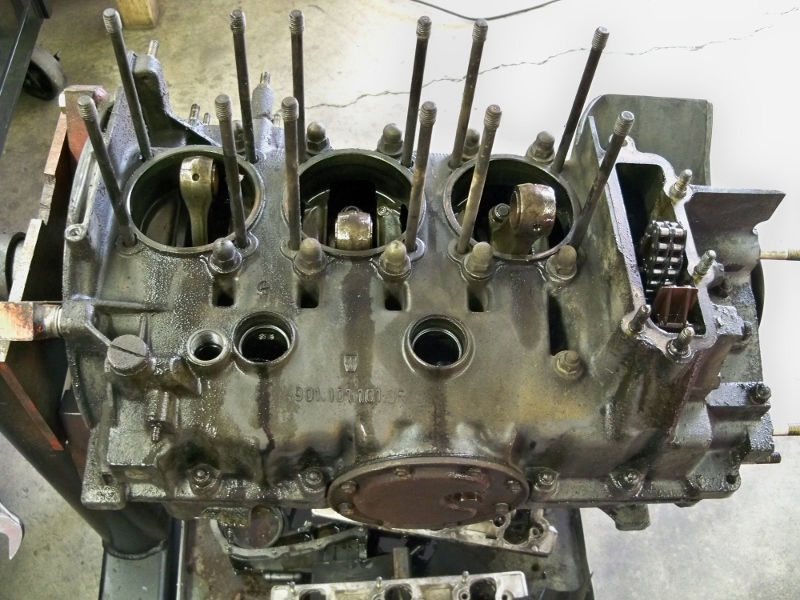 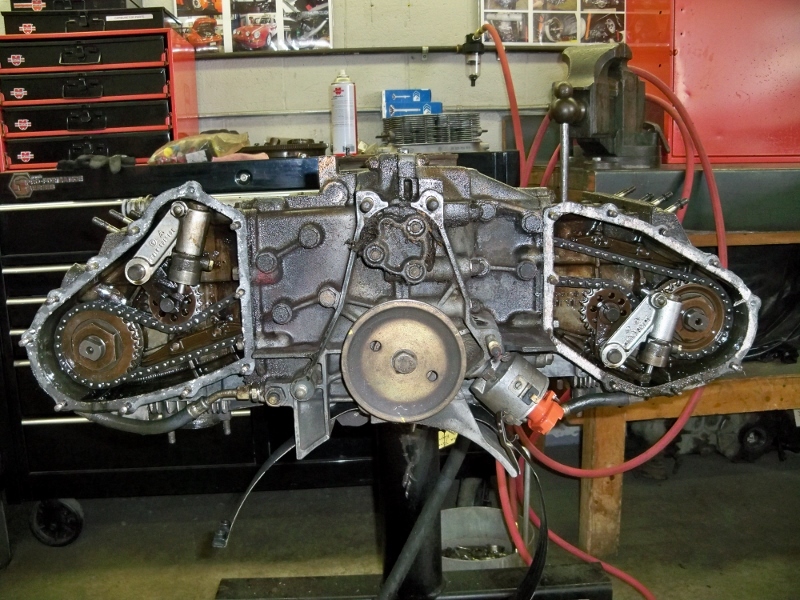 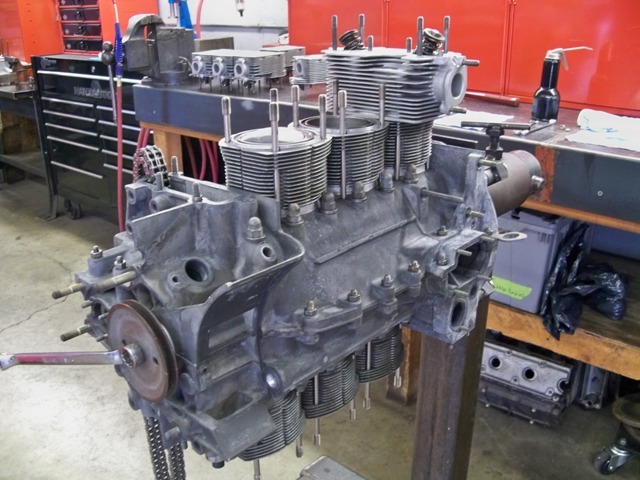 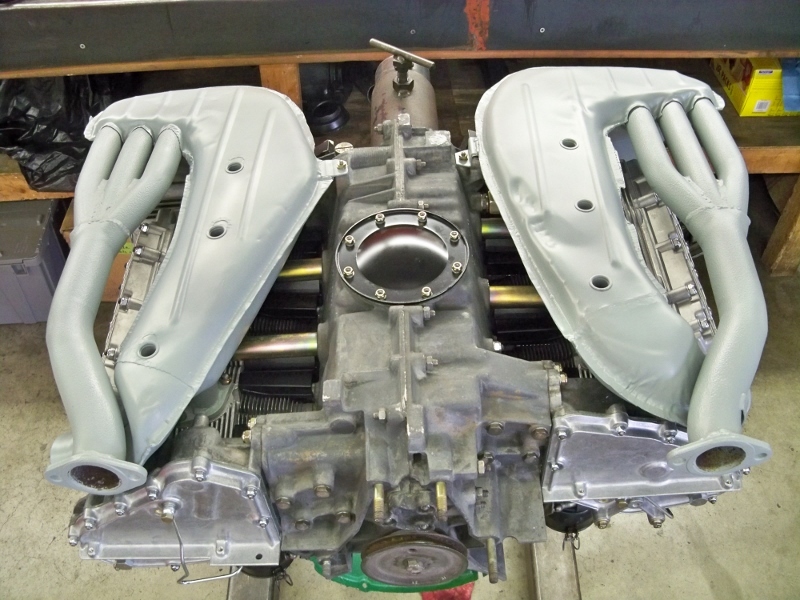 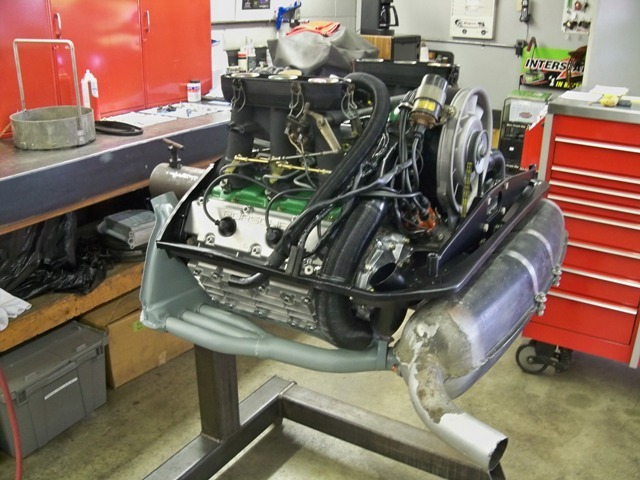 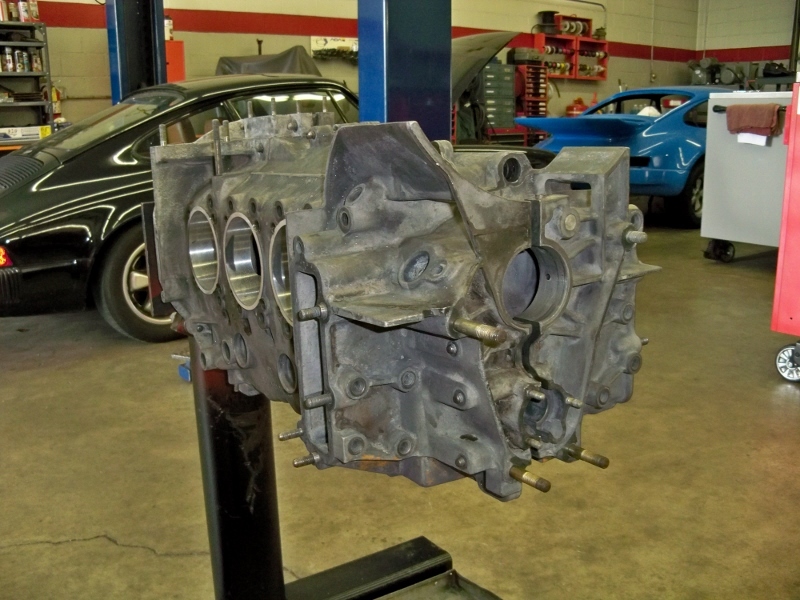 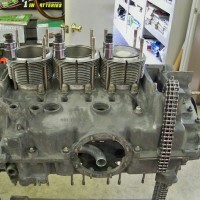 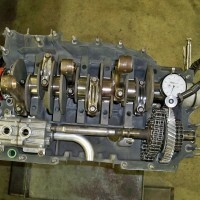 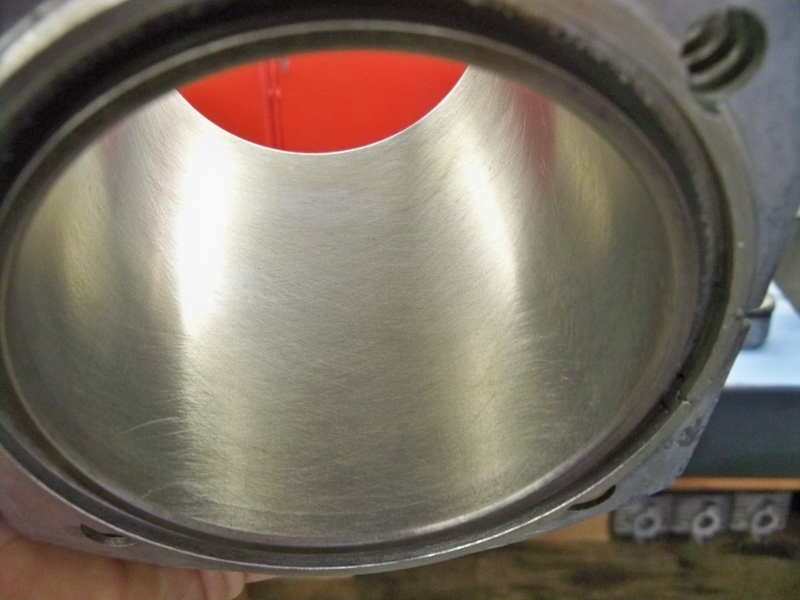 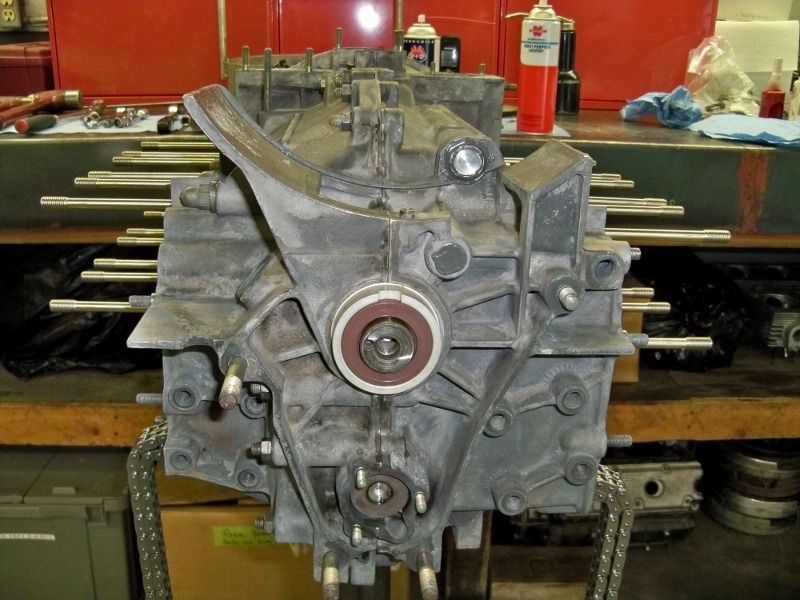 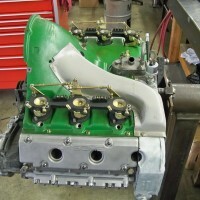 This project describes the rebuild of a 911 E 2.2 liter mechanical fuel injection engine. 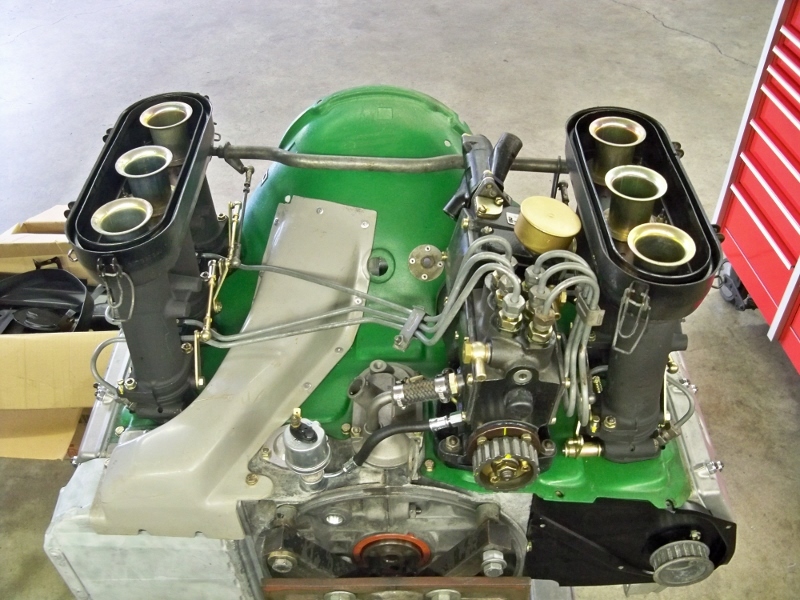 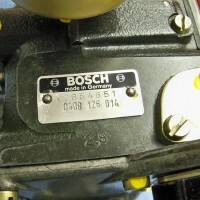 The stock stroke of the 2.2 liter engine is 66 mm. 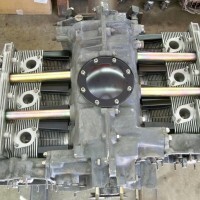 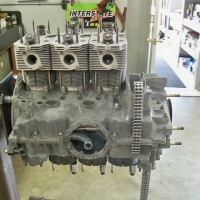 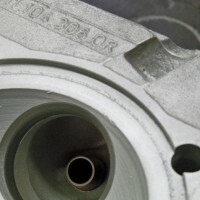 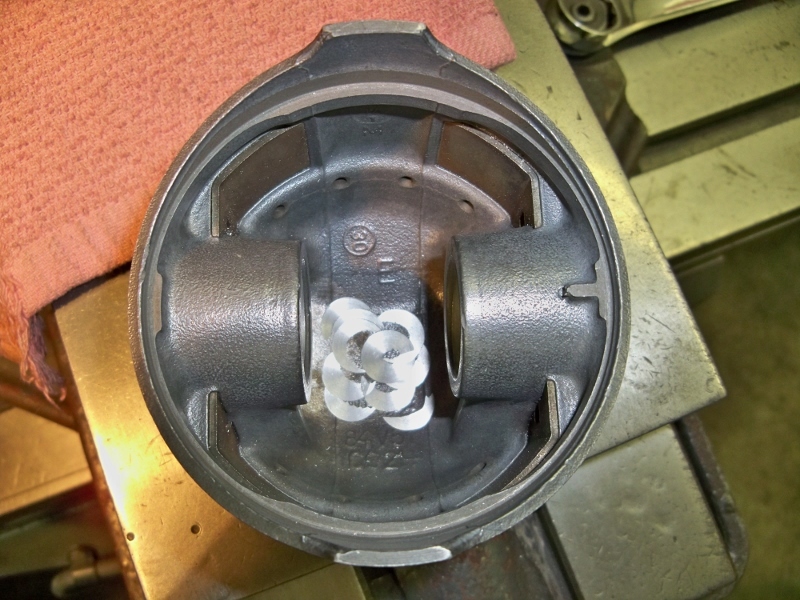 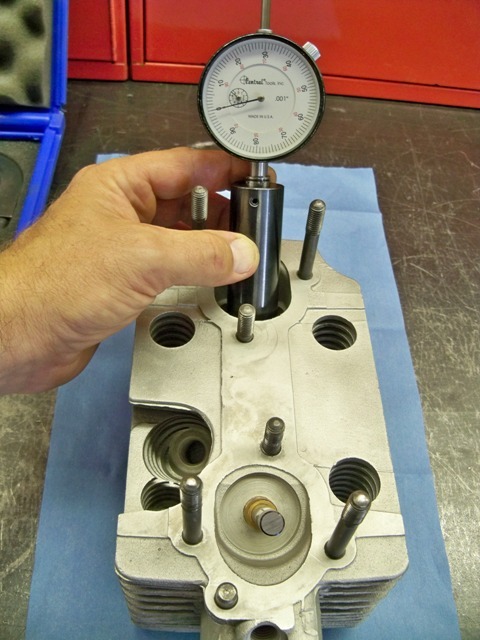 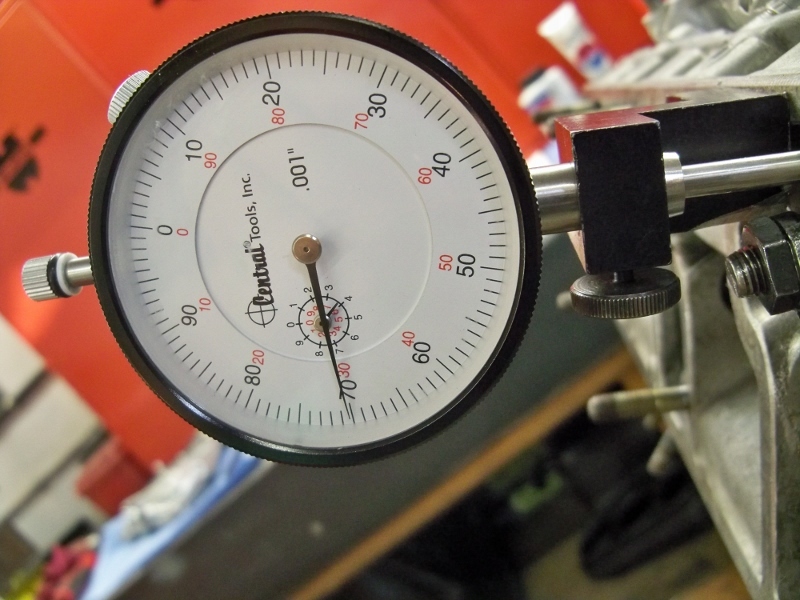 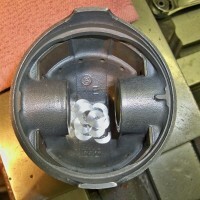 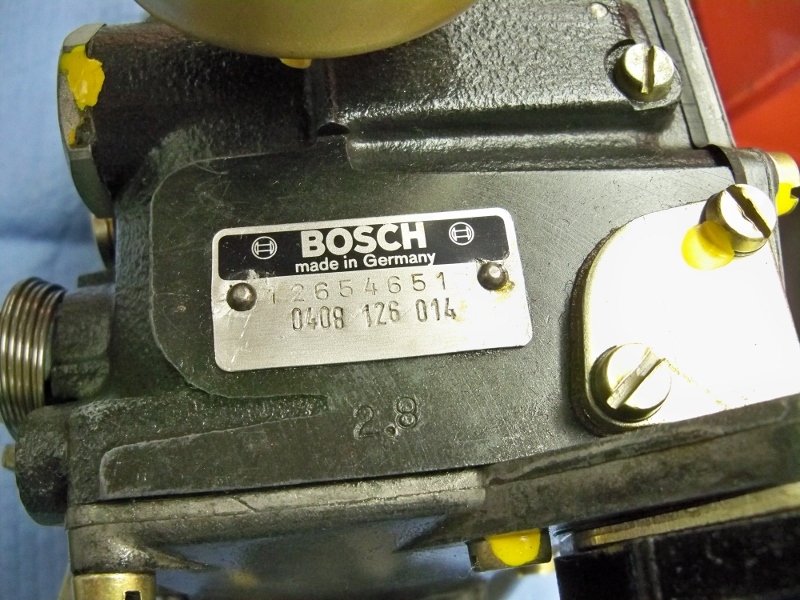 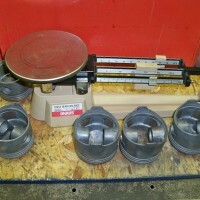 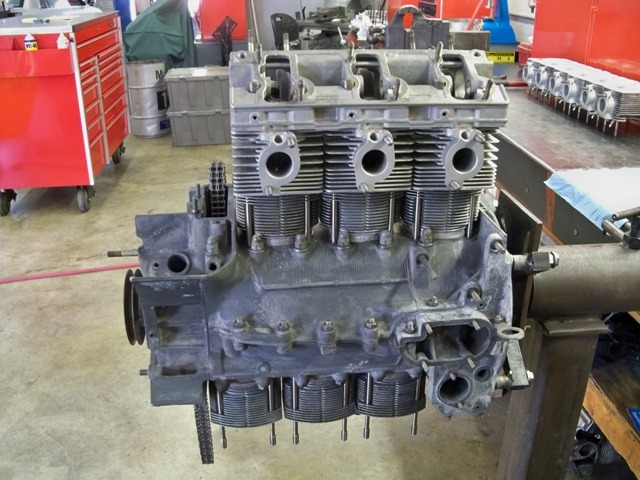 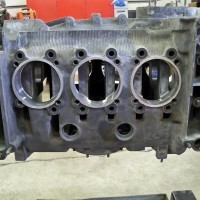 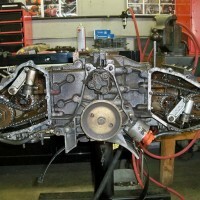 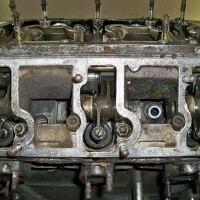 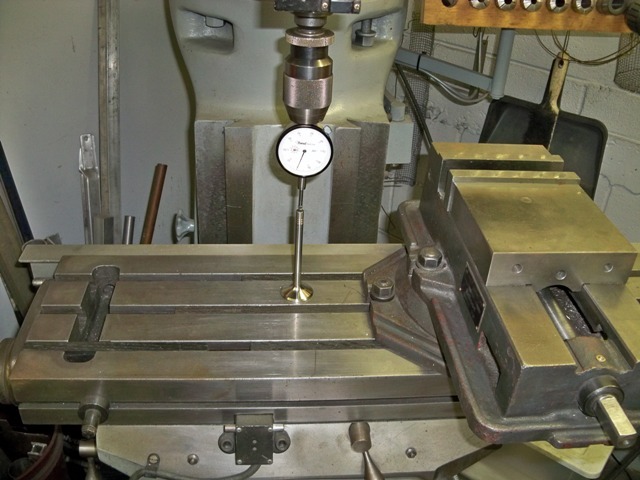 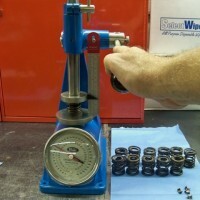 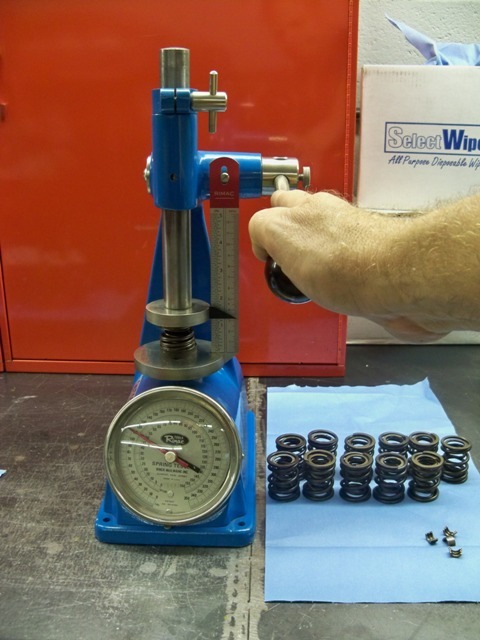 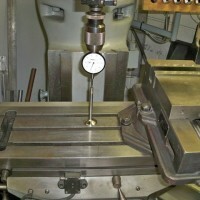 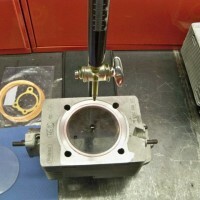 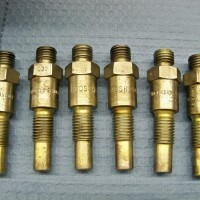 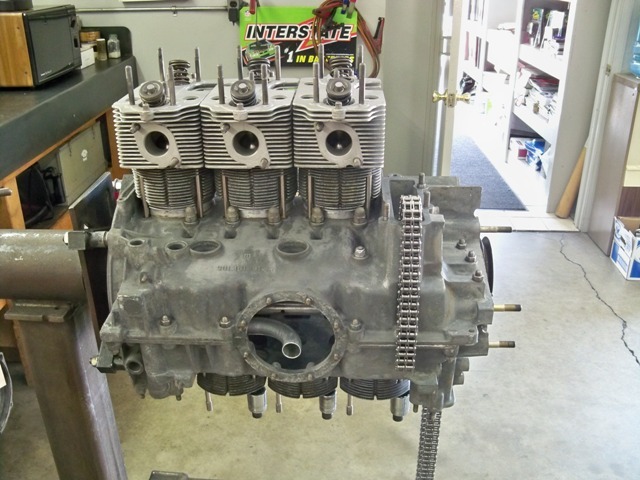 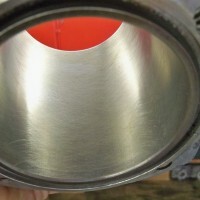 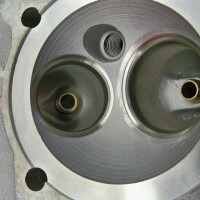 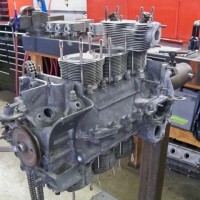 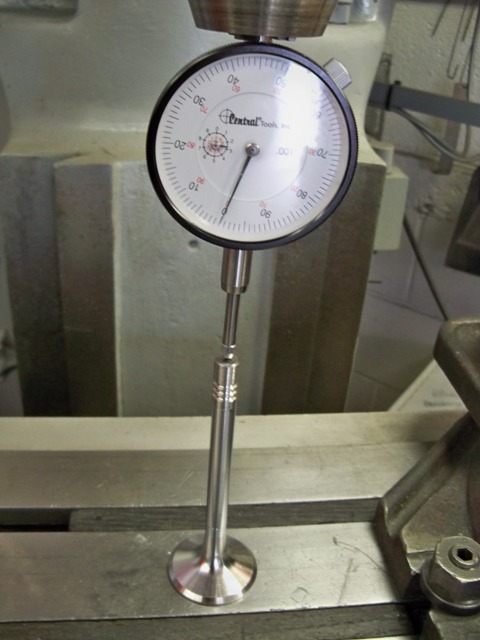 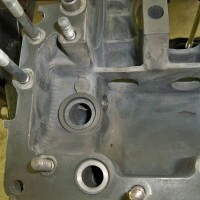 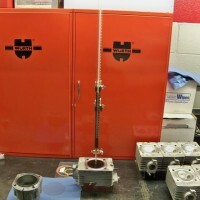 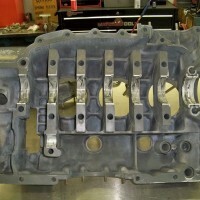 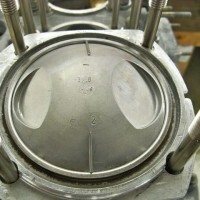 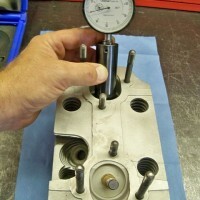 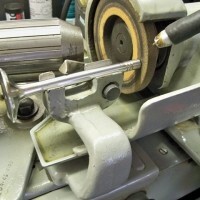 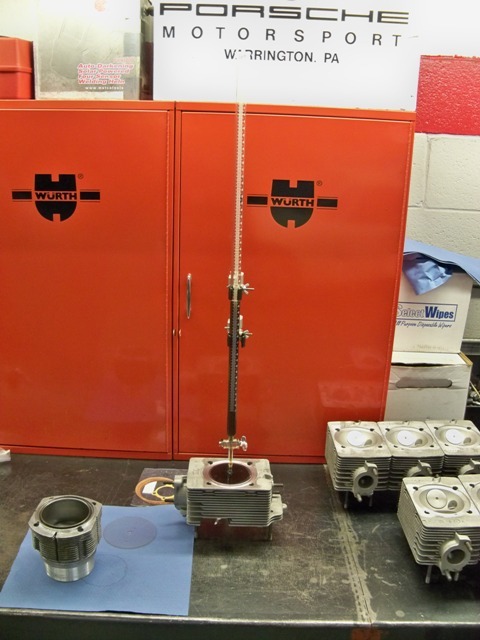 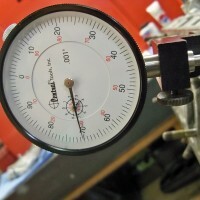 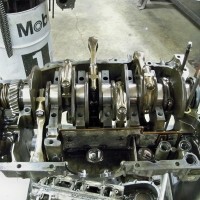 We changed this to 70.4 mm by way of using a 2.7 liter crankshaft and connecting rod set. 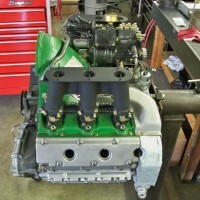 This change gave us a 2.4 liter 2341 cc displacement. 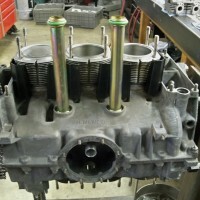 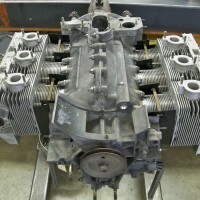 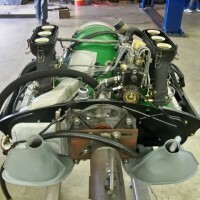 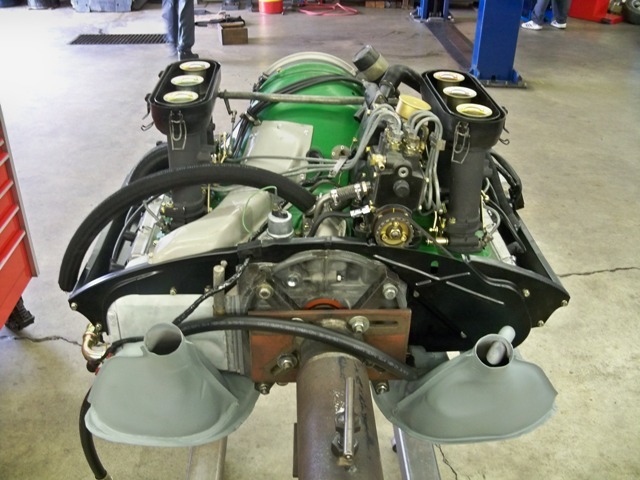 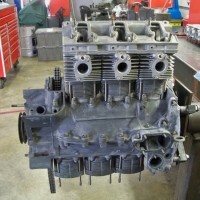 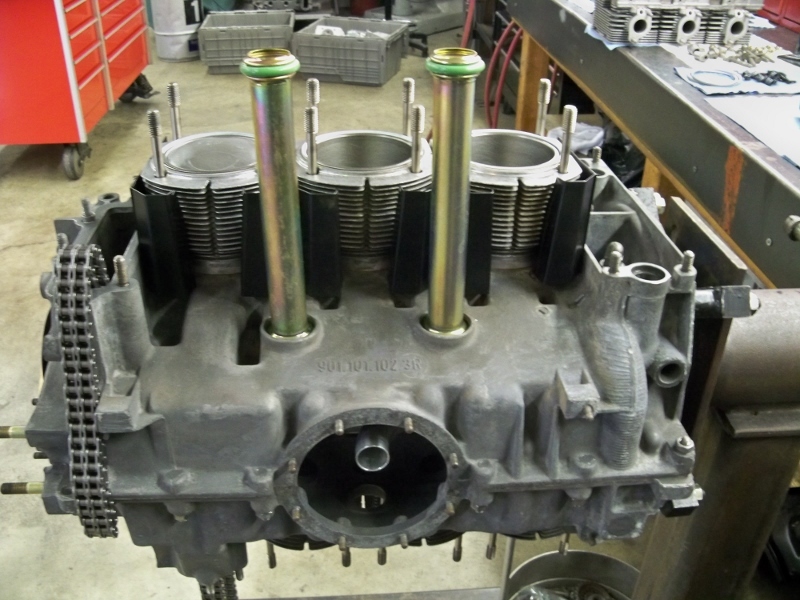 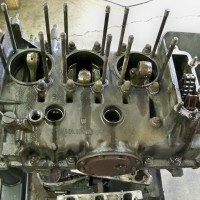 The engine case has been updated with case inserts and Raceware cylinder head hardware. 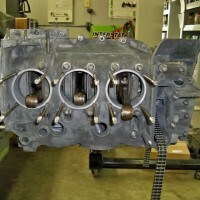 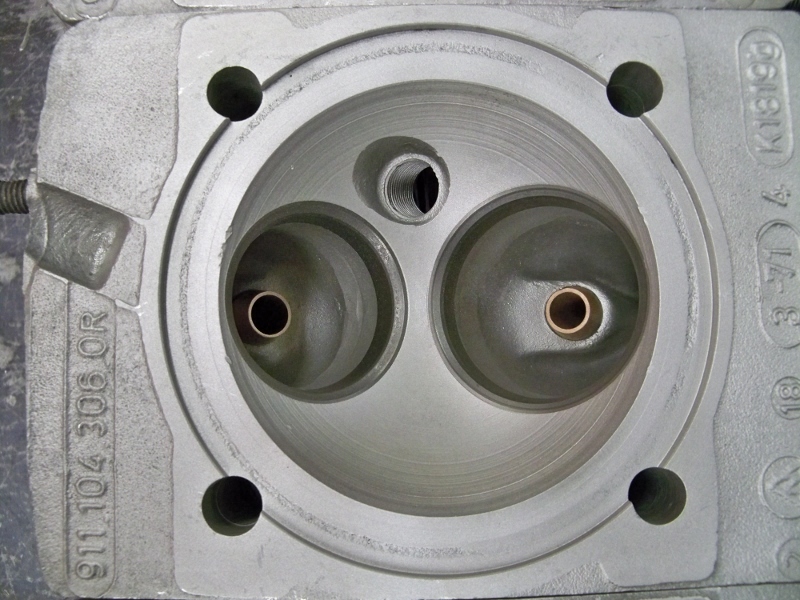 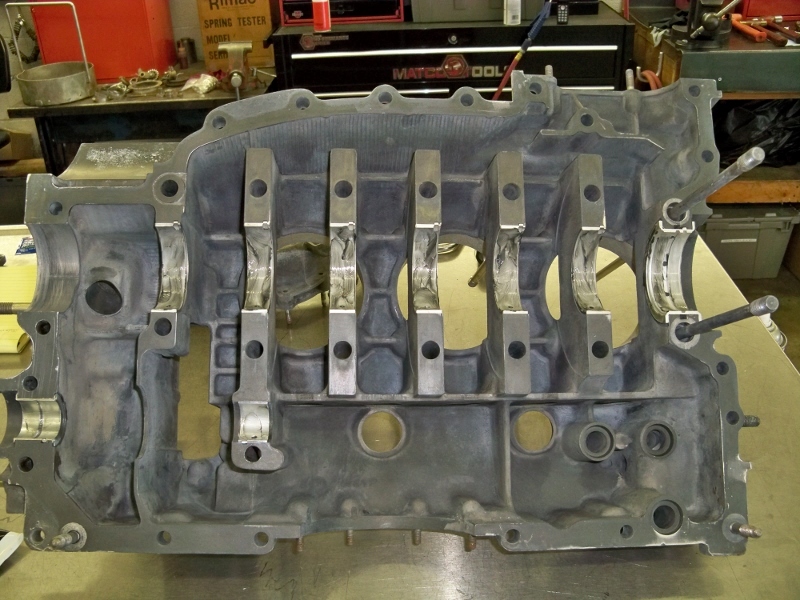 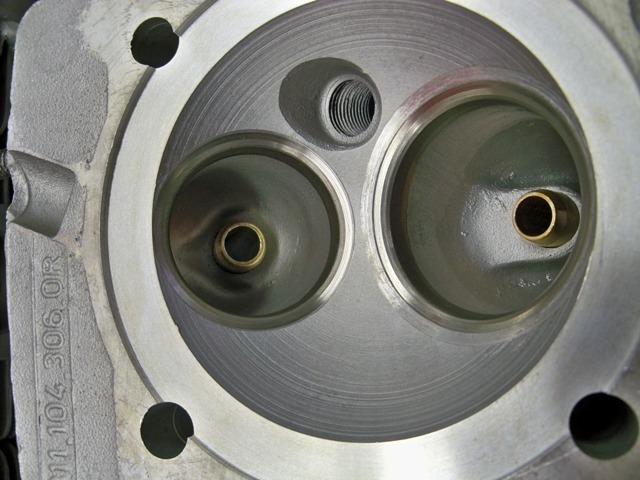 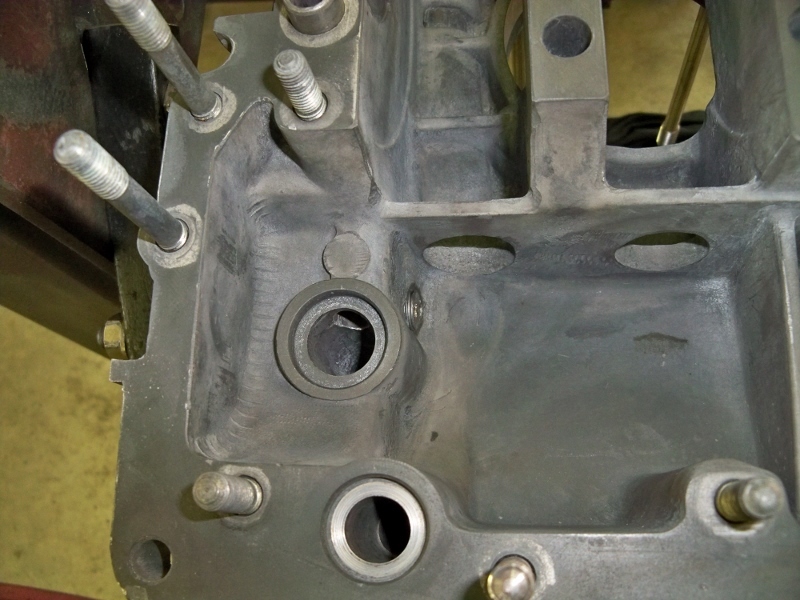 We also performed the crankcase oil bypass modification for better oil flow and pressure. 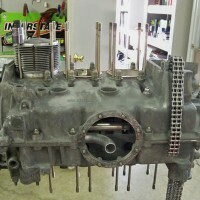 The last update to the bottom end is a 3.0 liter oil pump and updated oil pressure relief pistons and springs. 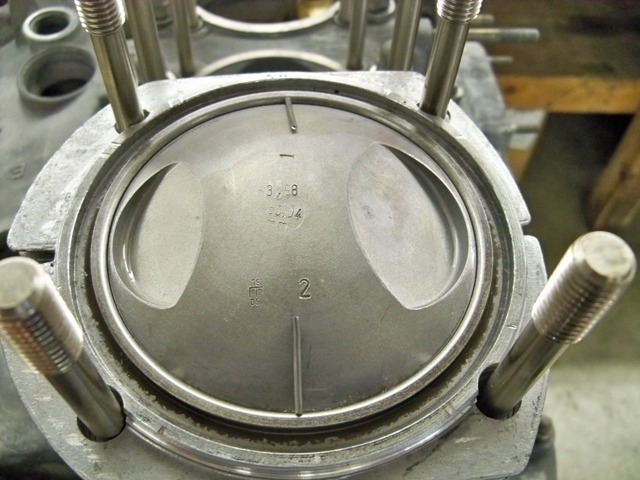 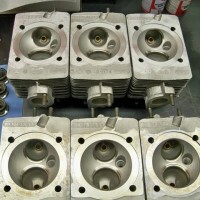 The pistons and cylinders are the original 2.2 E, fully reconditioned, with balanced pistons and honed cylinders. 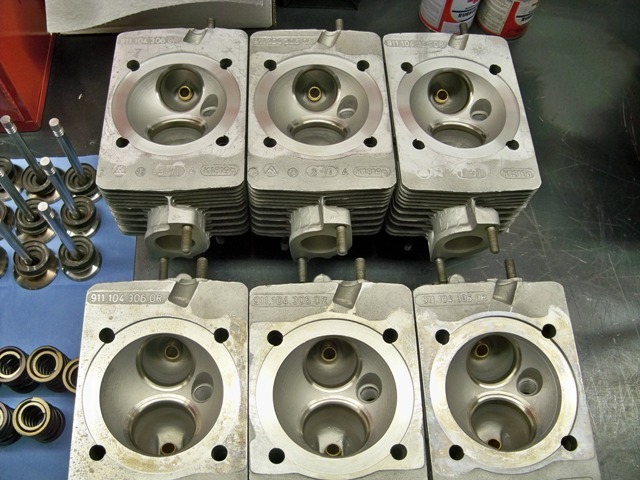 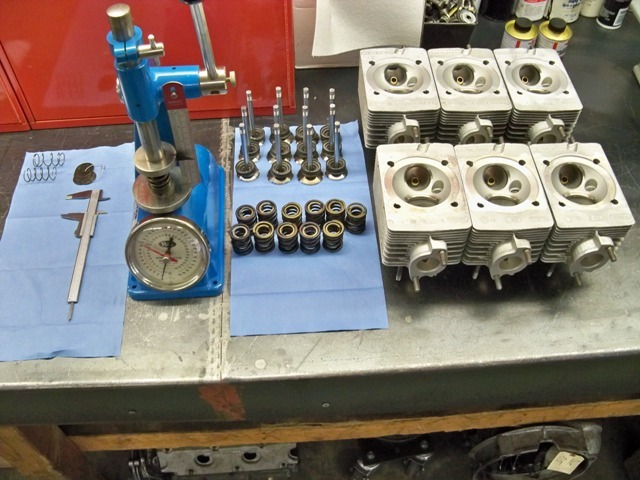 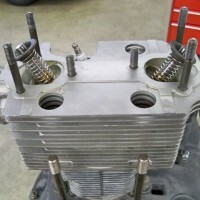 The cylinder heads are the original 2.2 liter E heads completely rebuilt, with all new valves, springs, and valve guides. 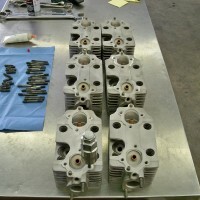 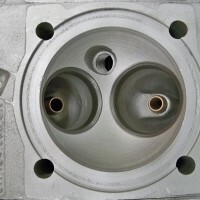 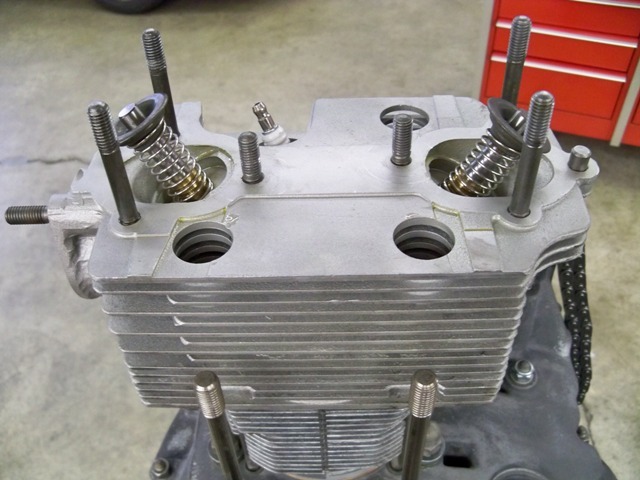 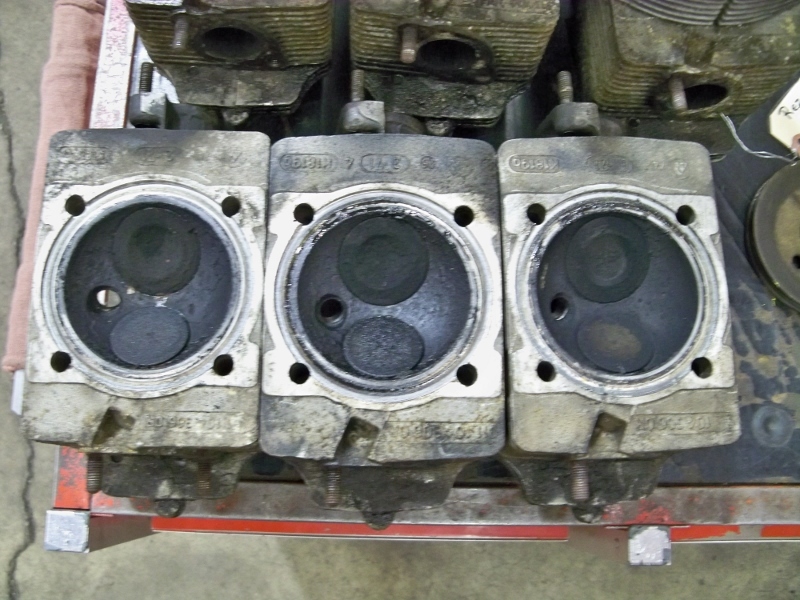 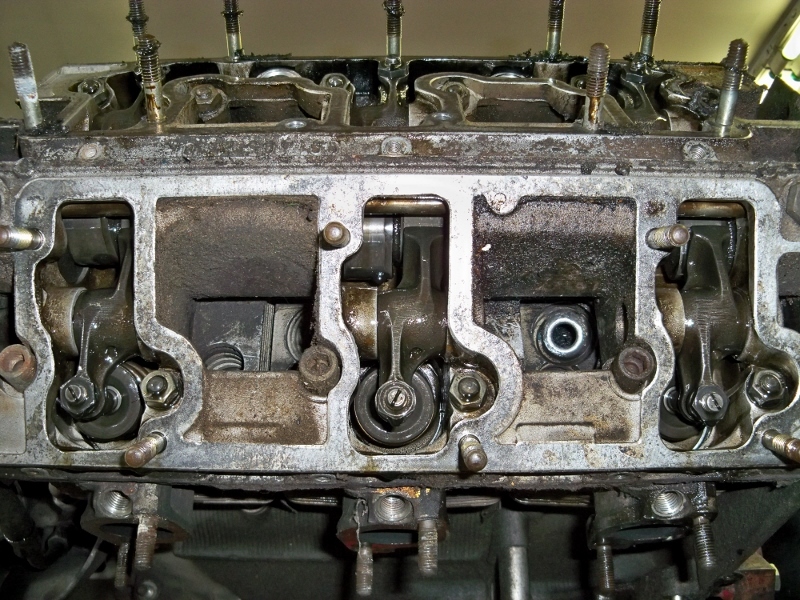 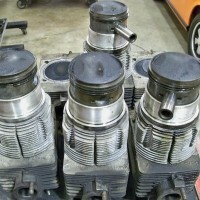 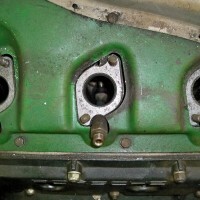 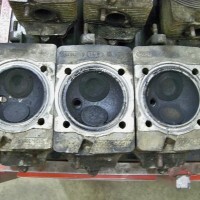 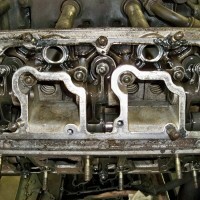 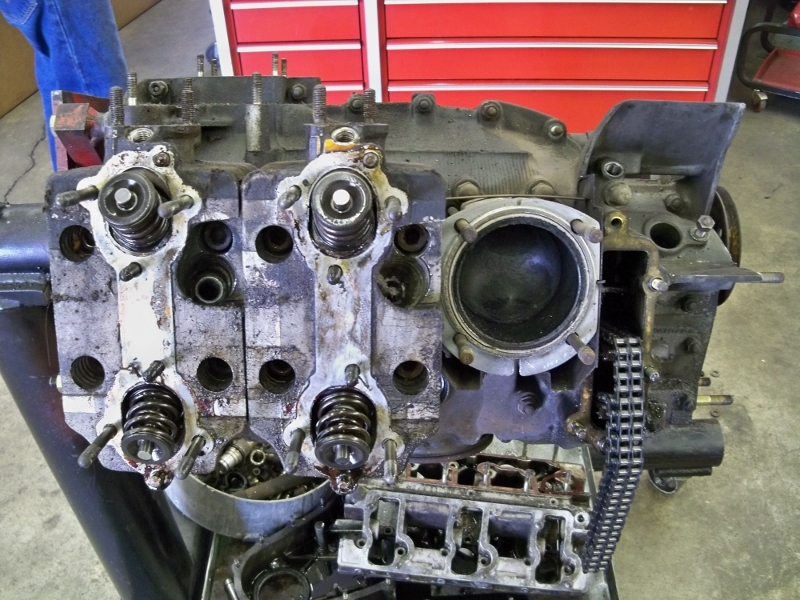 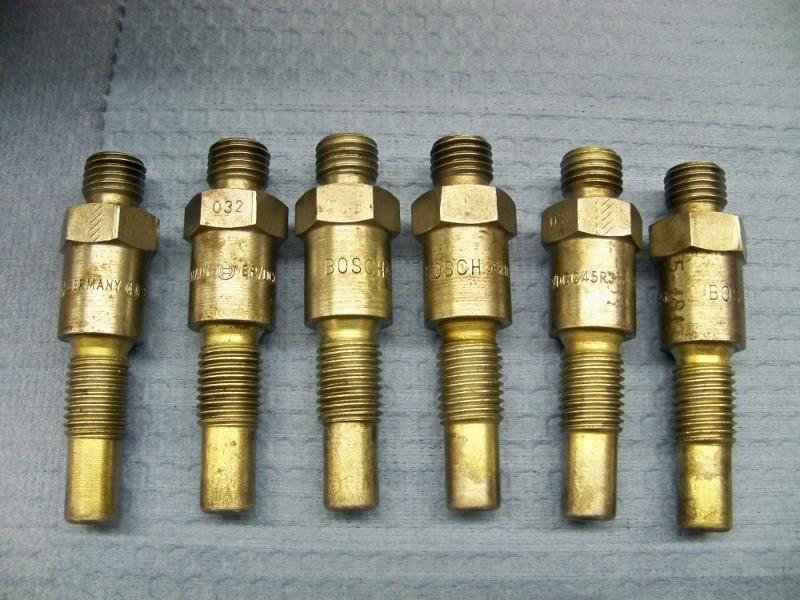 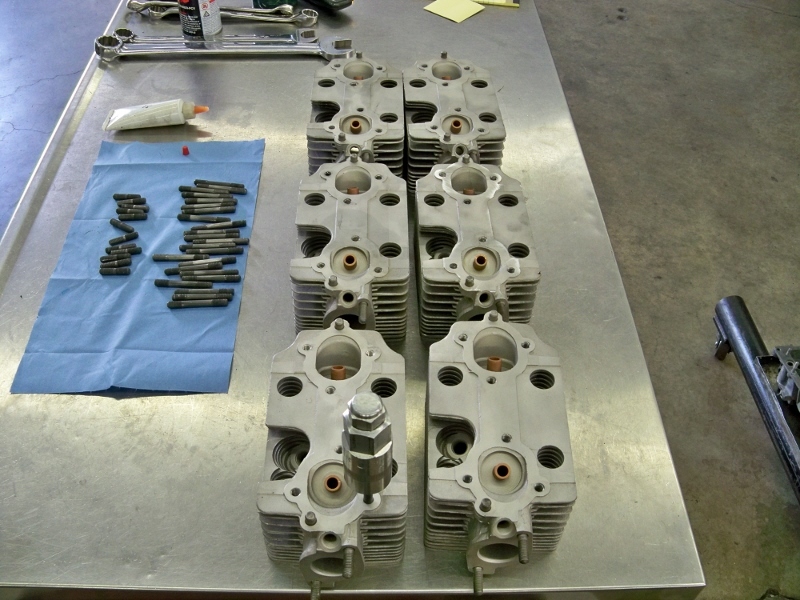 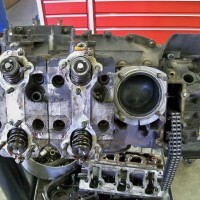 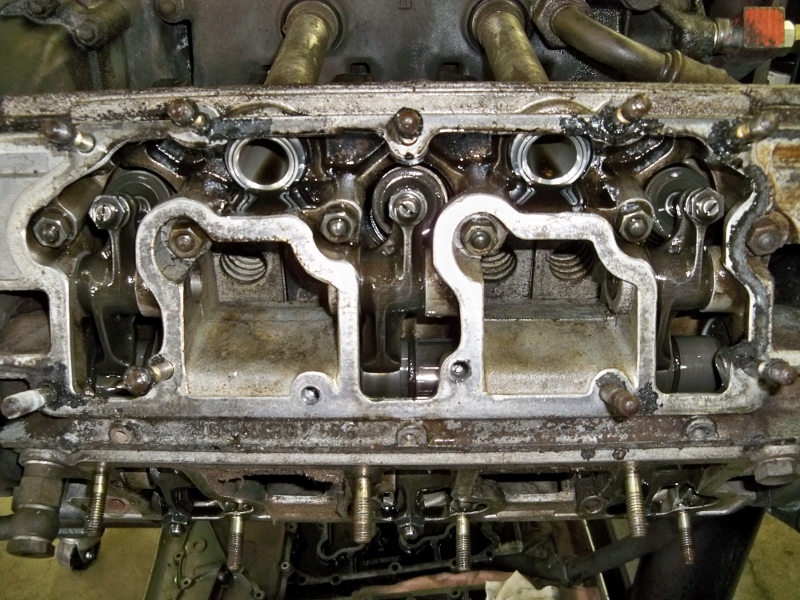 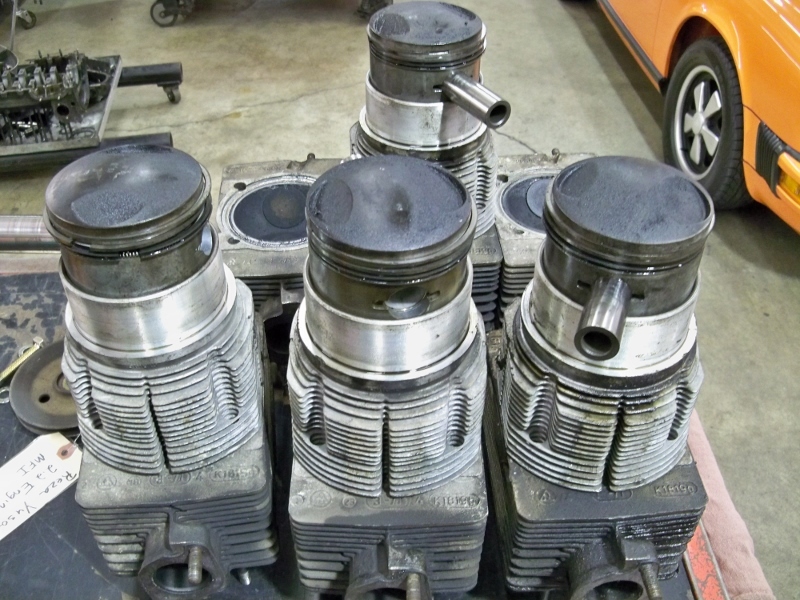 The cylinder heads have all been cc and matched the same. 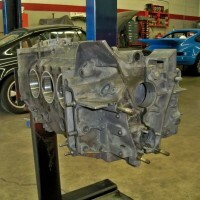 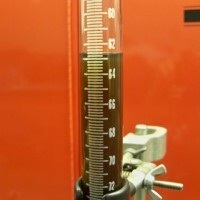 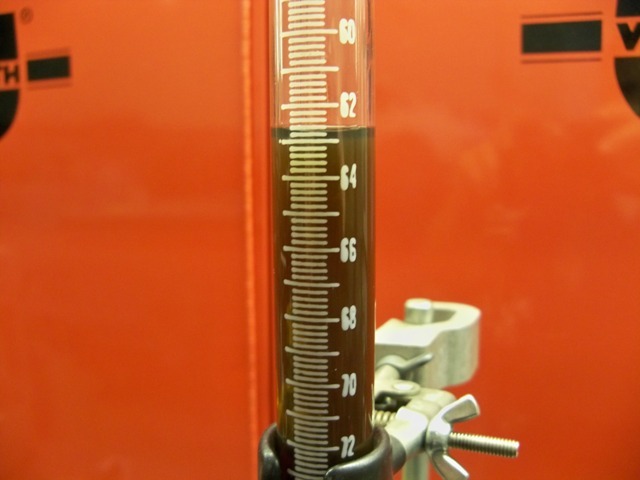 The compression ratio is now 9.1 to 1 for a long life road car. 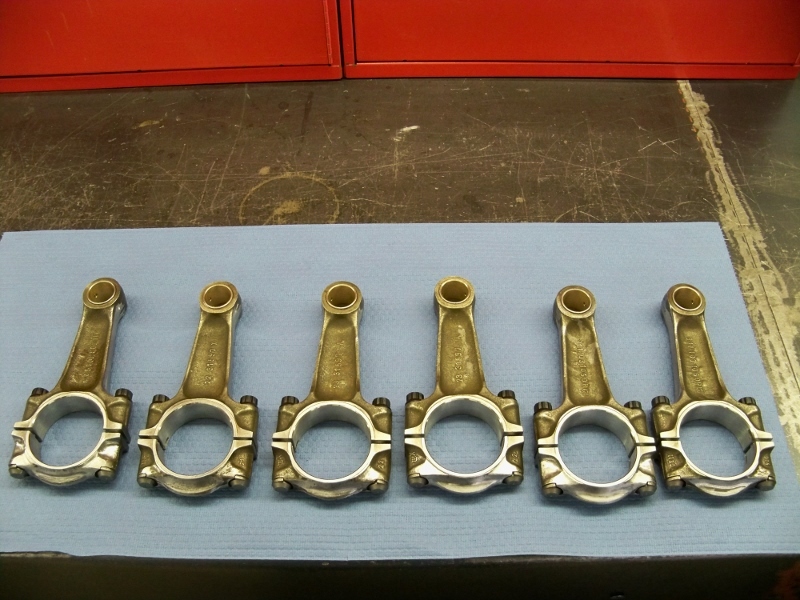 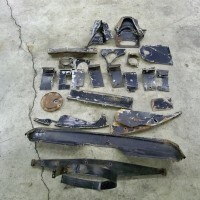 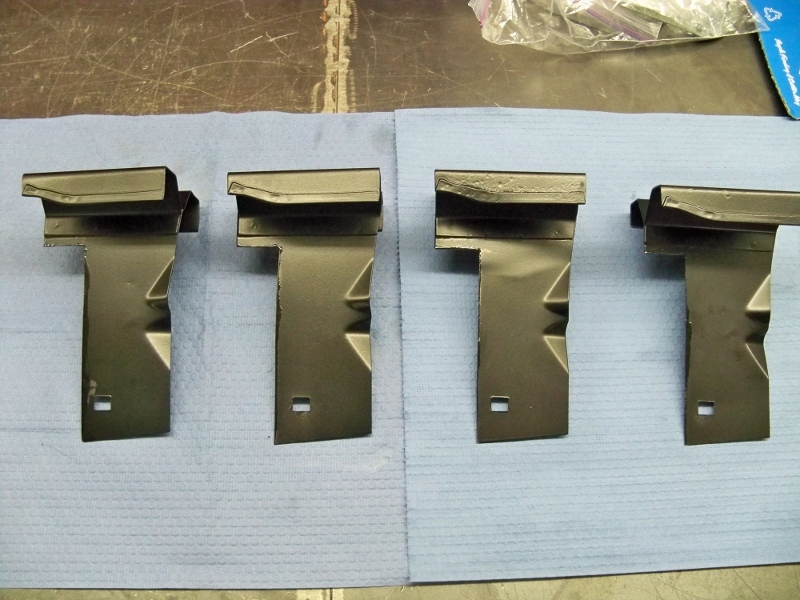 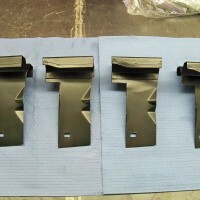 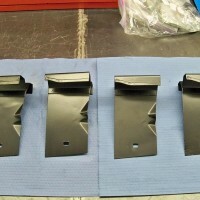 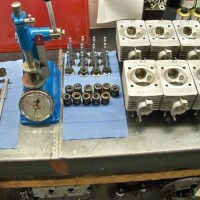 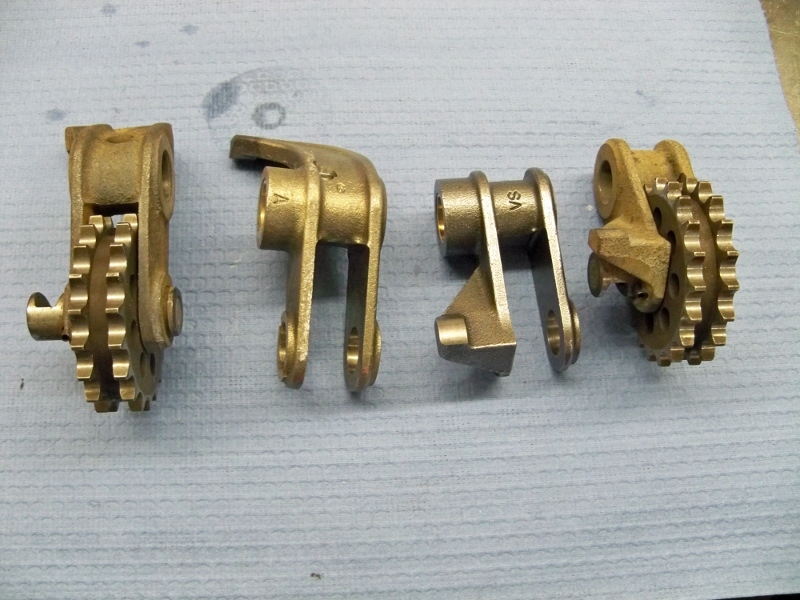 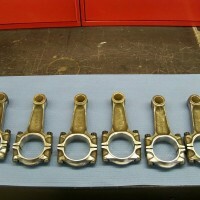 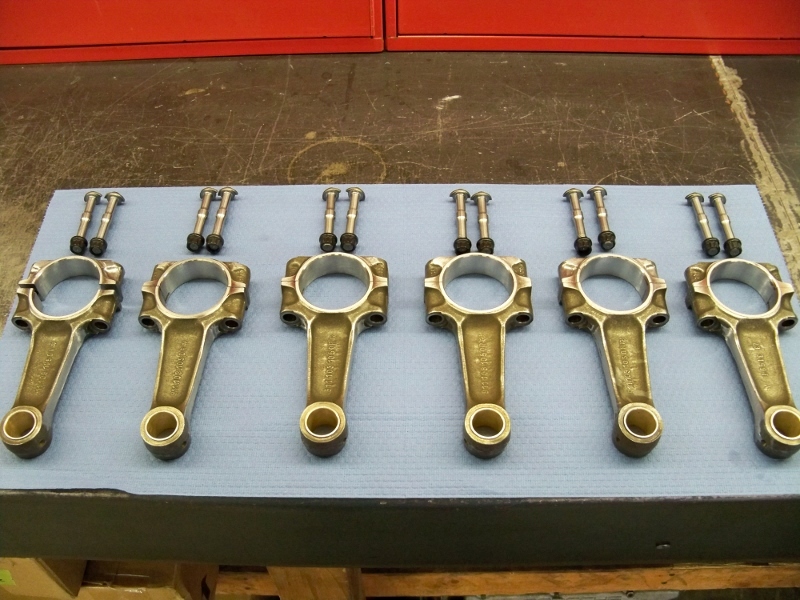 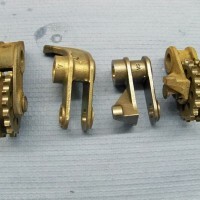 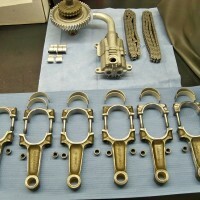 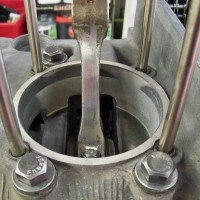 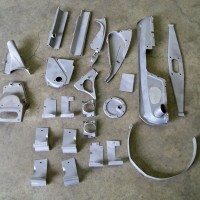 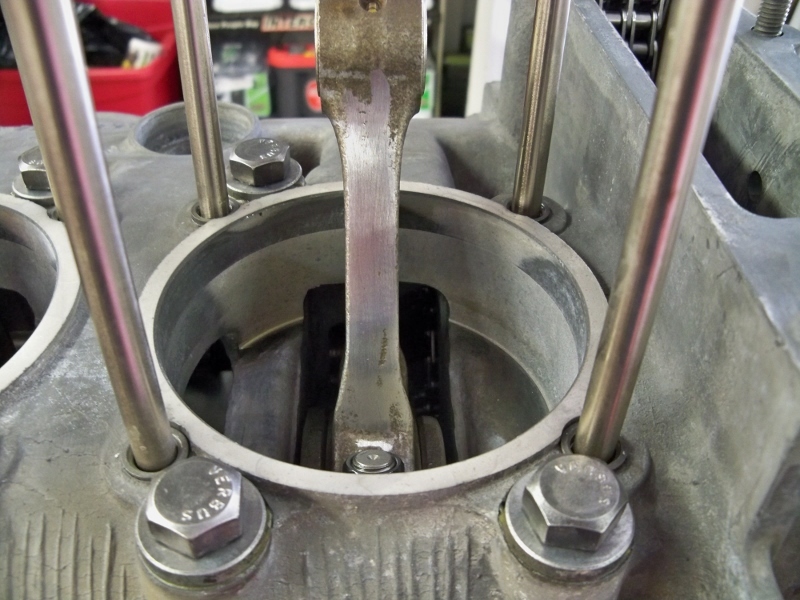 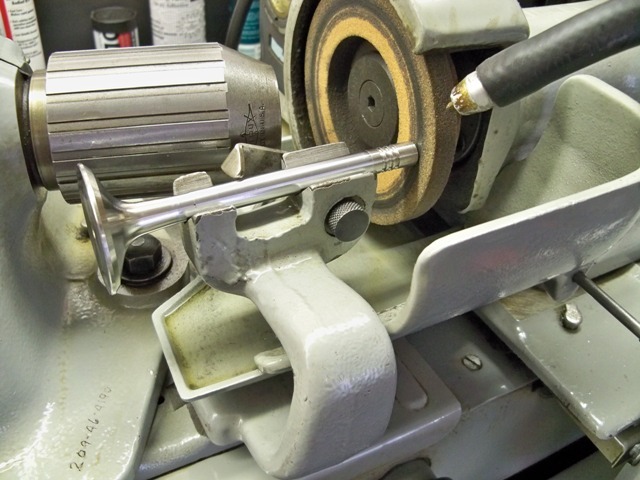 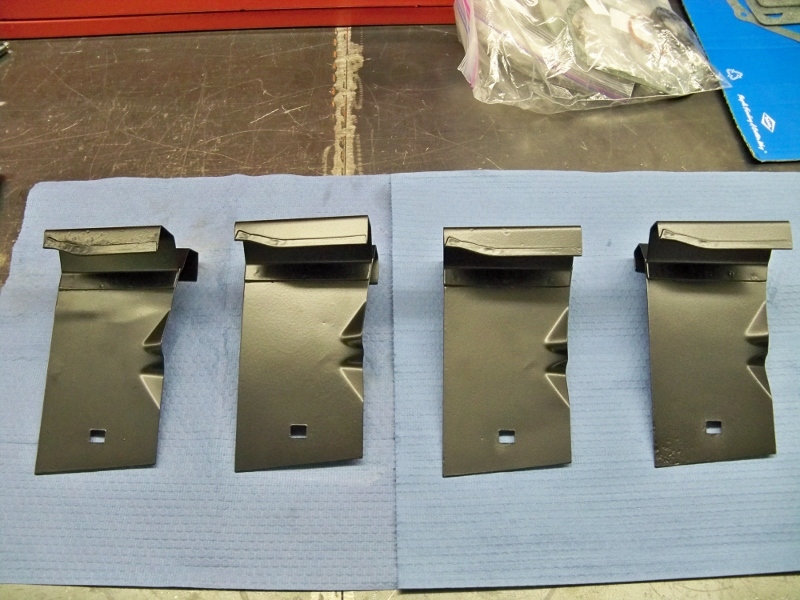 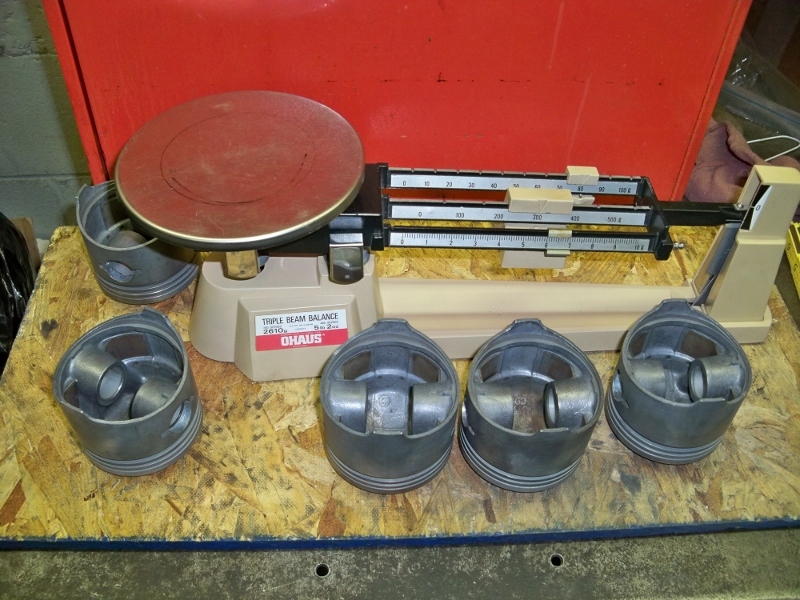 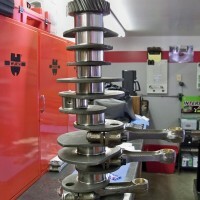 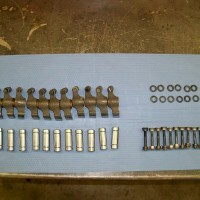 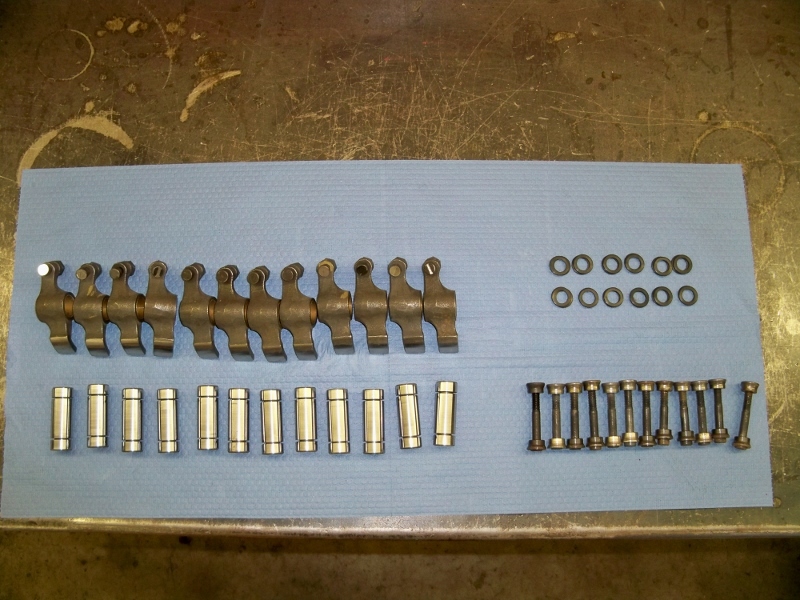 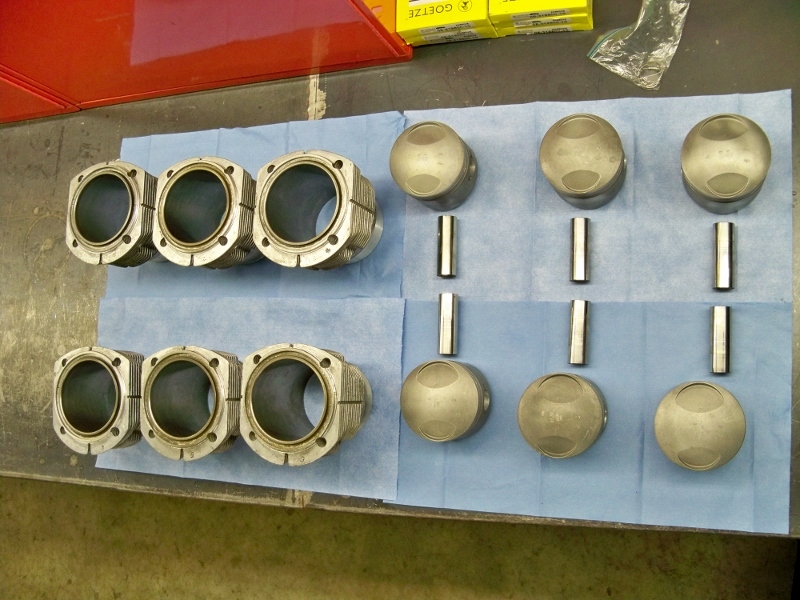 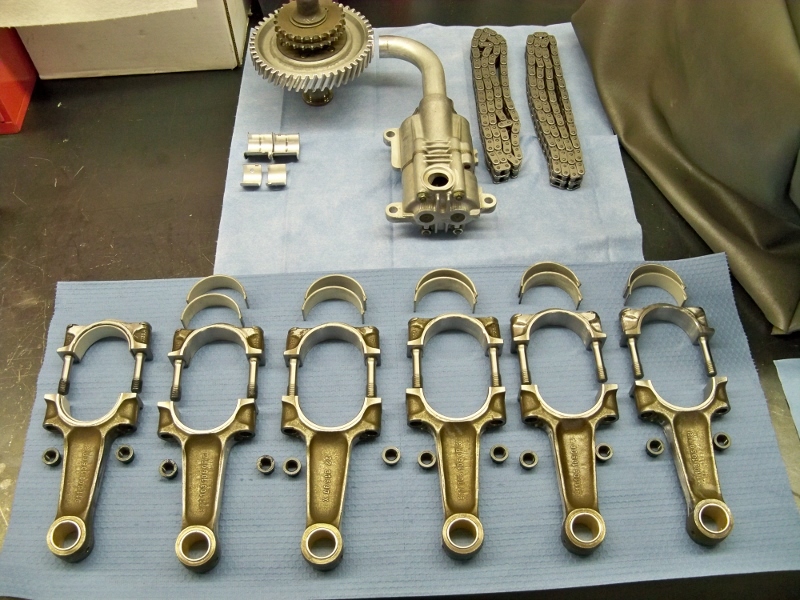 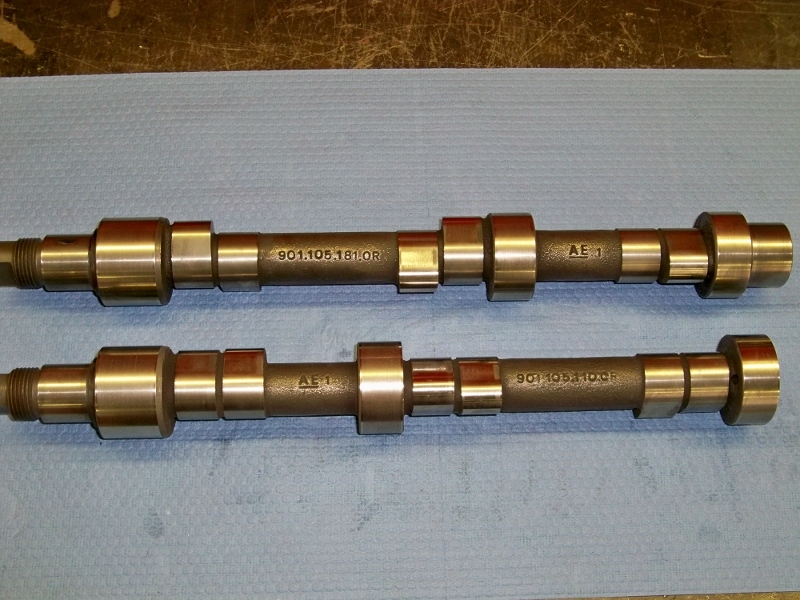 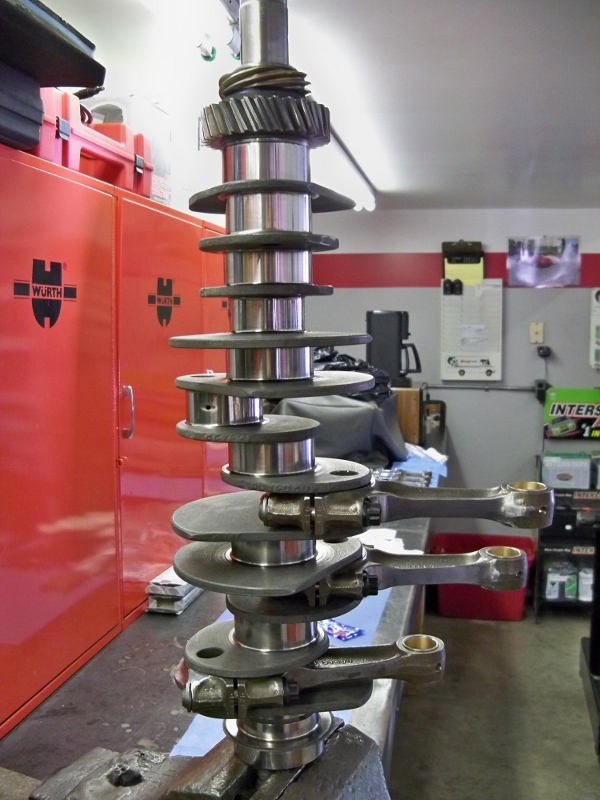 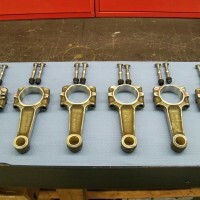 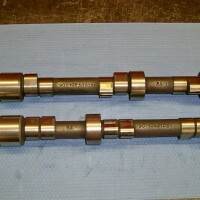 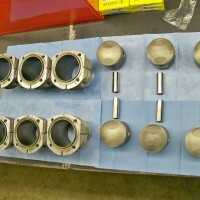 The connecting rods are completely reconditioned and also have new Raceware hardware kits installed. 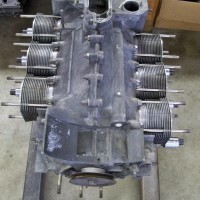 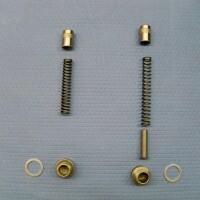 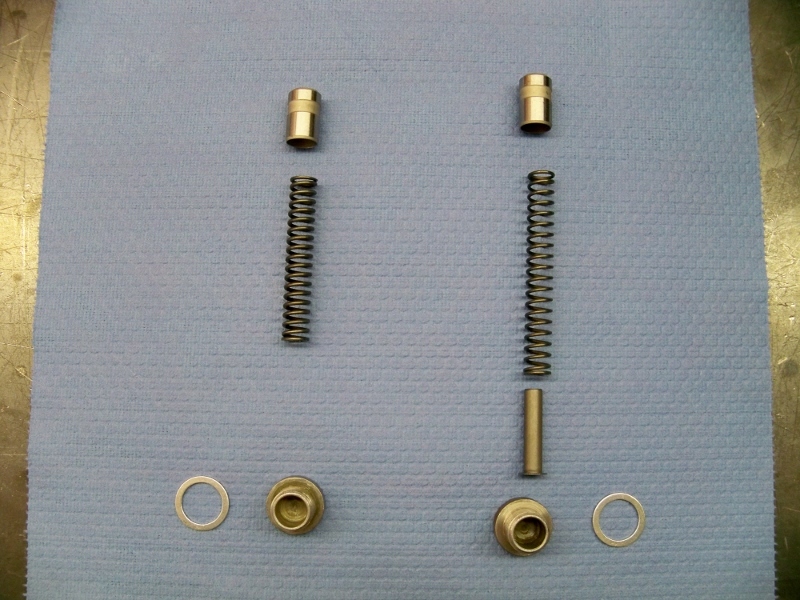 They have been balanced end to end, as well as the crankshaft, front pulley and flywheel. 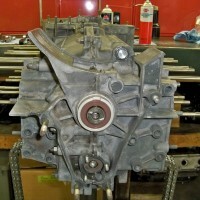 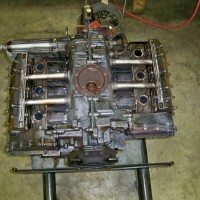 The 2.2 liter injection pump was swapped out for a rebuilt 2.4 liter pump. 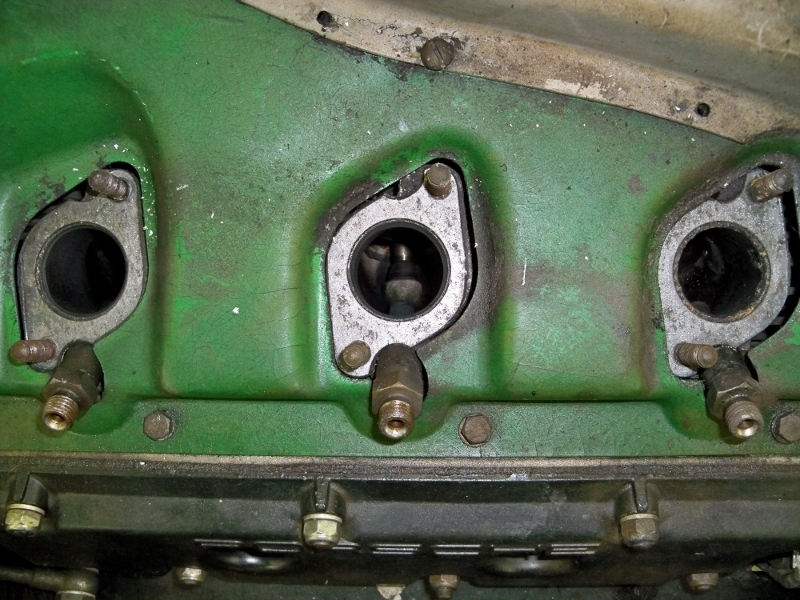 The throttle bodies were completely rebuilt, with new shafts, bushings, etc. 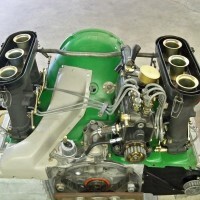 The exhaust system is all stock and original. 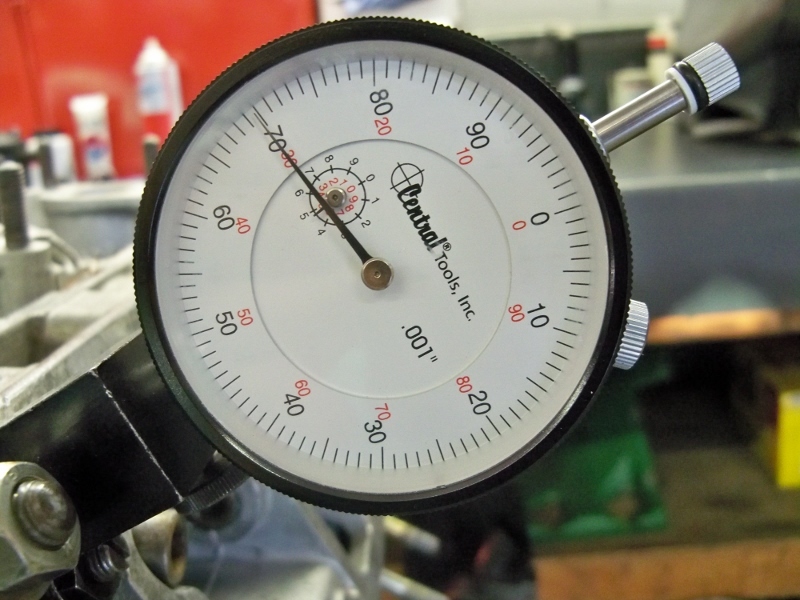 We were quite pleased with the dyno results. 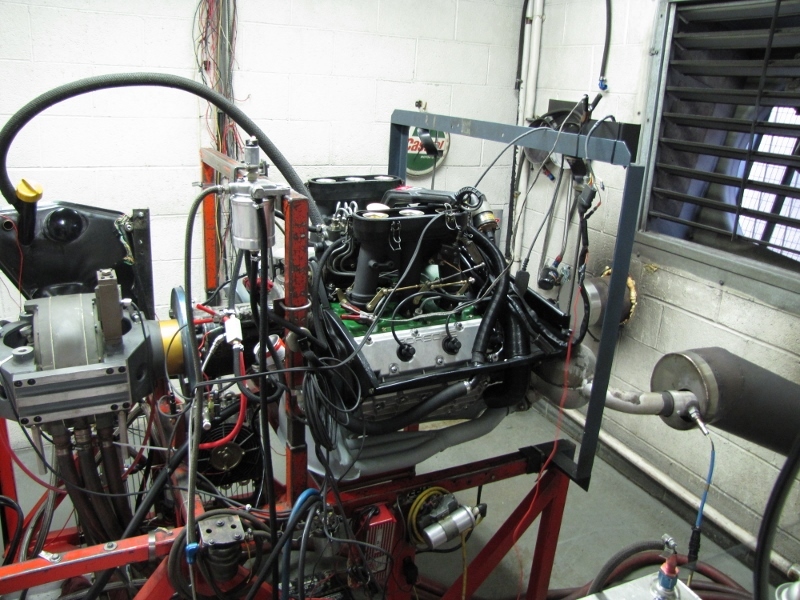 The dyno test was performed on a Go Power Dynamometer with Land and Sea Data Acquisition Software. 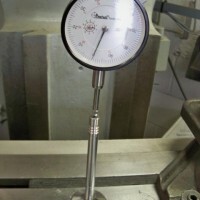 The Go Power dynamometer records in DIN hp. 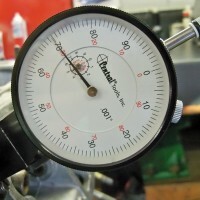 The videos below show the engine on the dyno, and the subsequent readings.